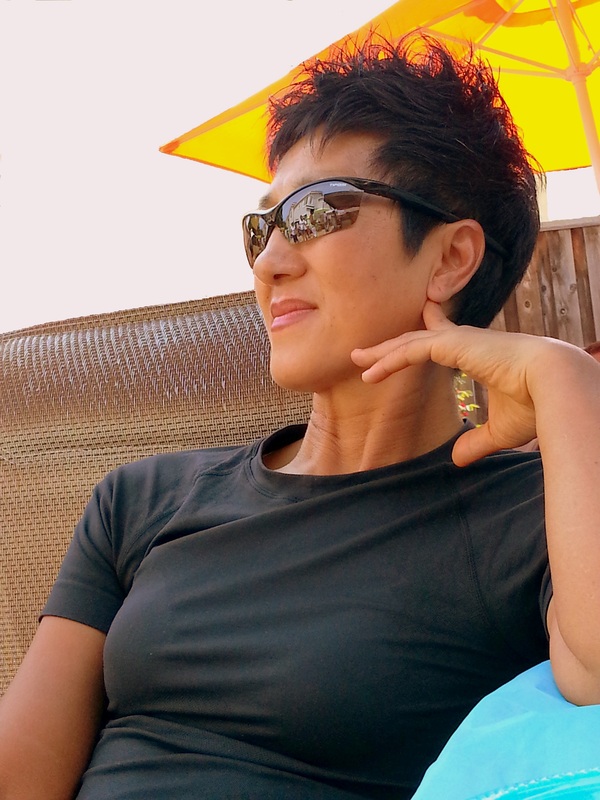 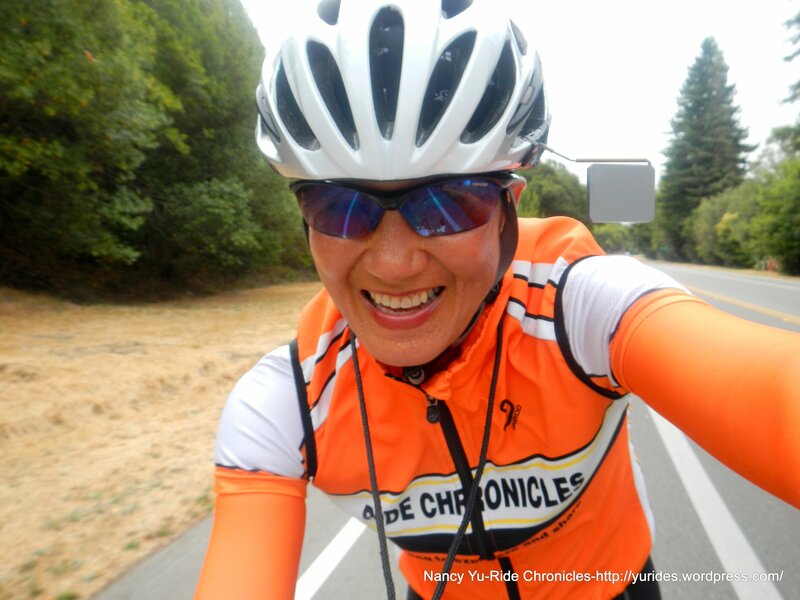 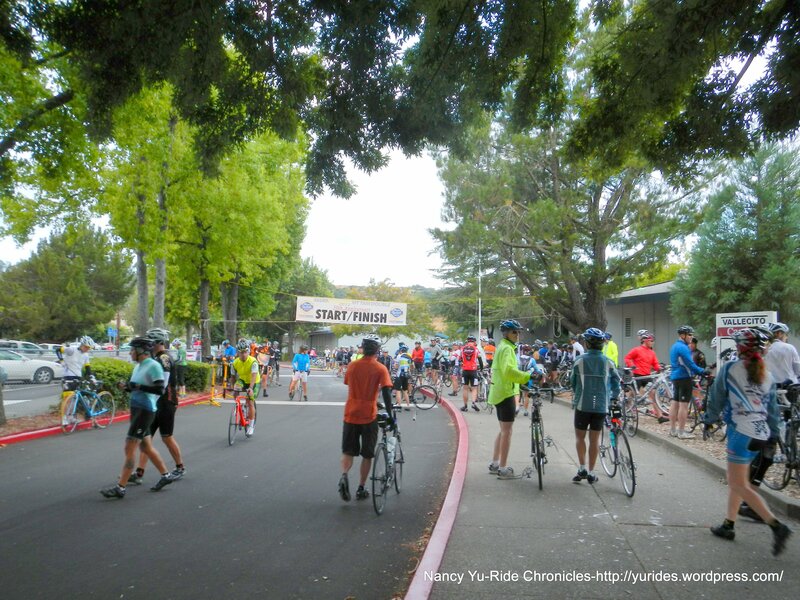 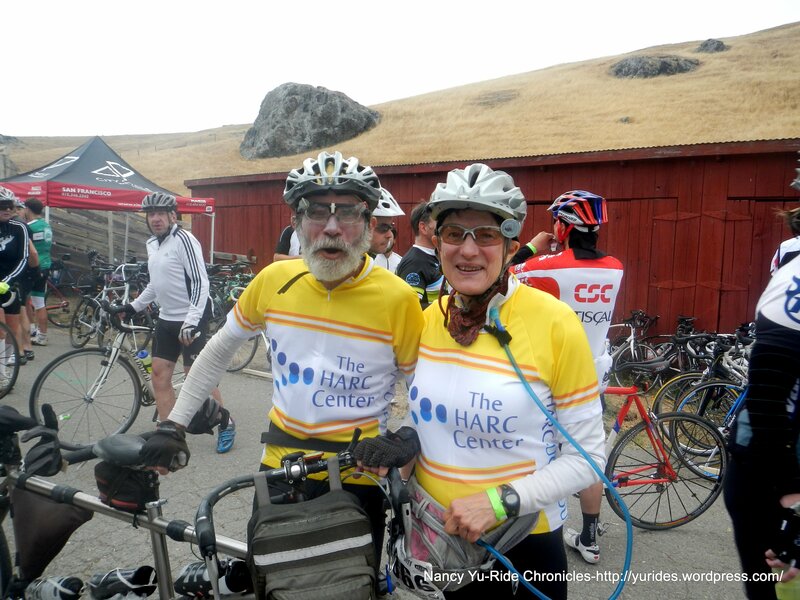 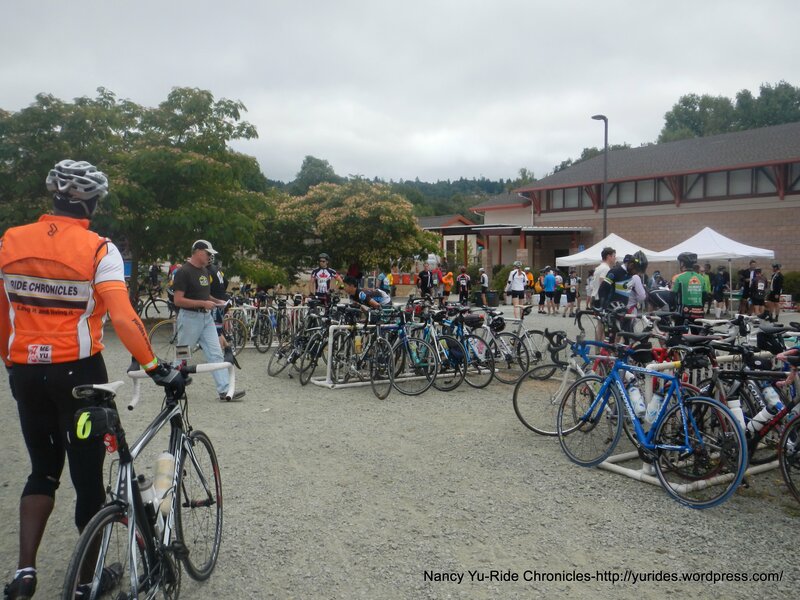 Marin Cyclists organizes one of the most popular cycling events in Marin County. 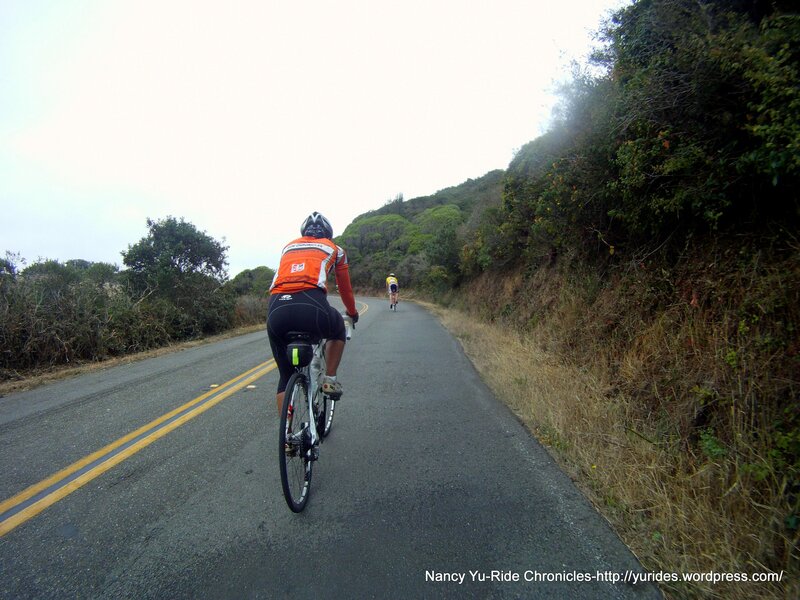 Their Mt Tam Century route was recently listed by Bicycling magazine as the best bike ride in California for its scenic beauty and challenging climbs-WOW! 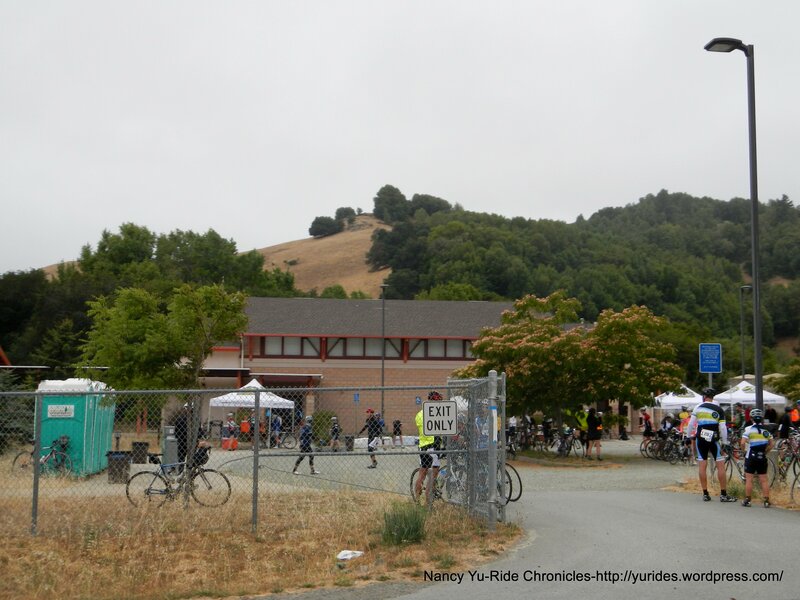 Today’s 50th annual Marin Century starts and finishes at the Vallecito Elementary School in San Rafael. 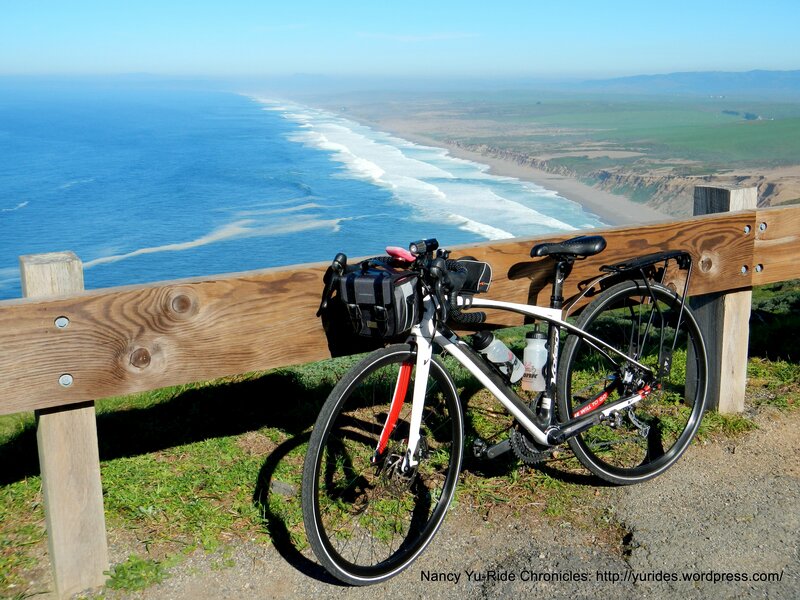 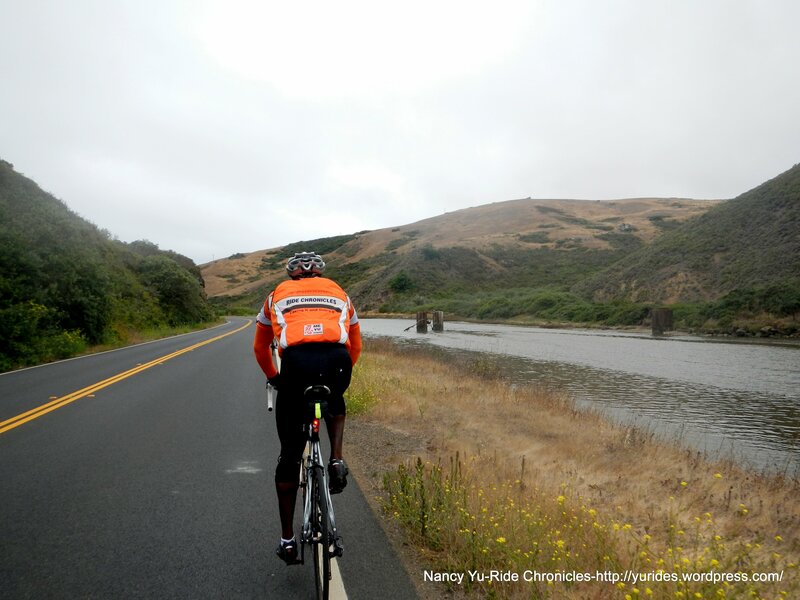 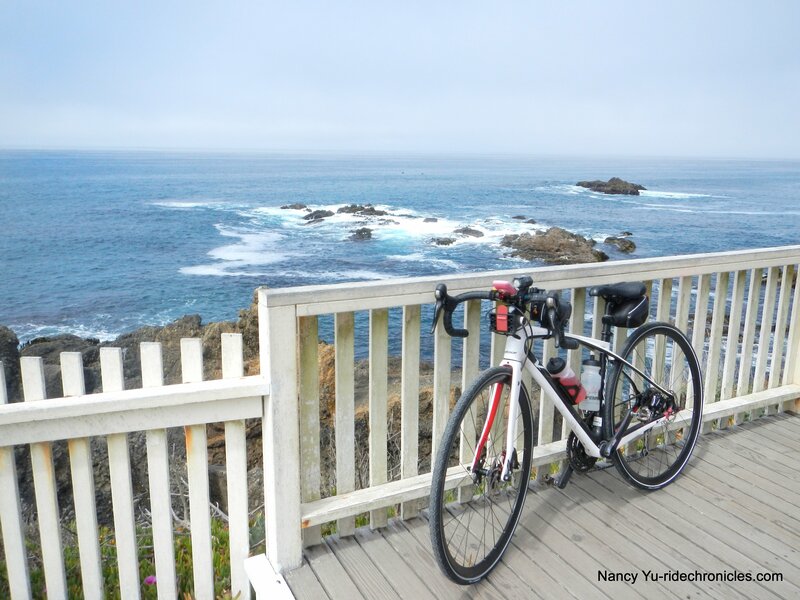 Marin Cyclists offers 6 different routes ranging from 30 to 200 miles with a 2900 rider limit. 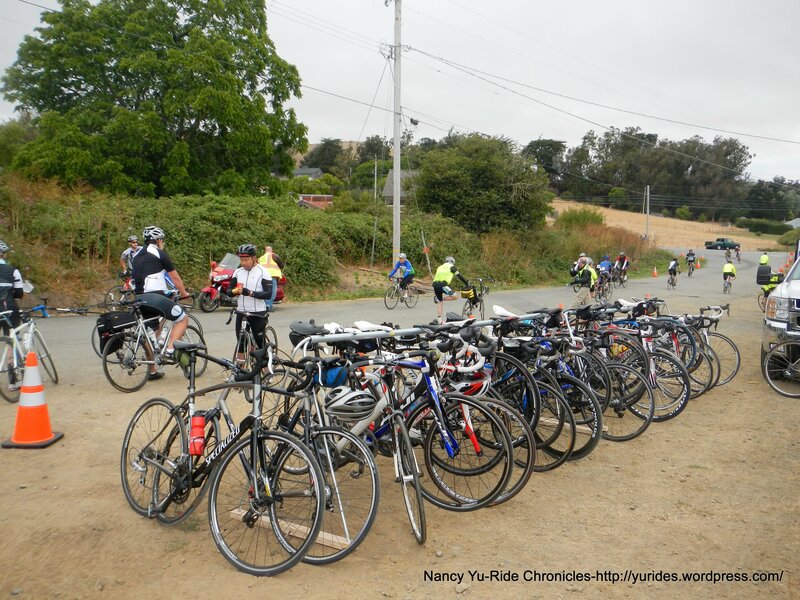 That’s a lot of cyclists out on the roads of Marin and Sonoma counties. 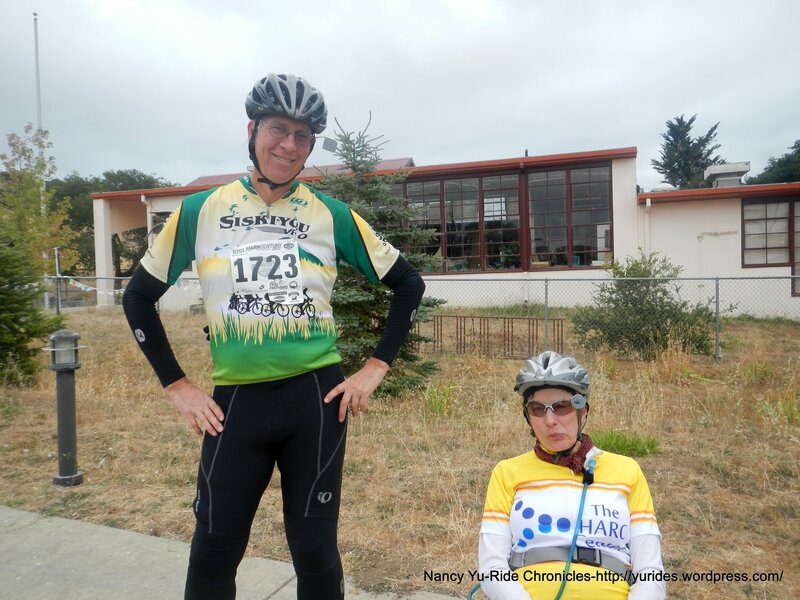 We are signed up for the traditional course of the Marin Century. 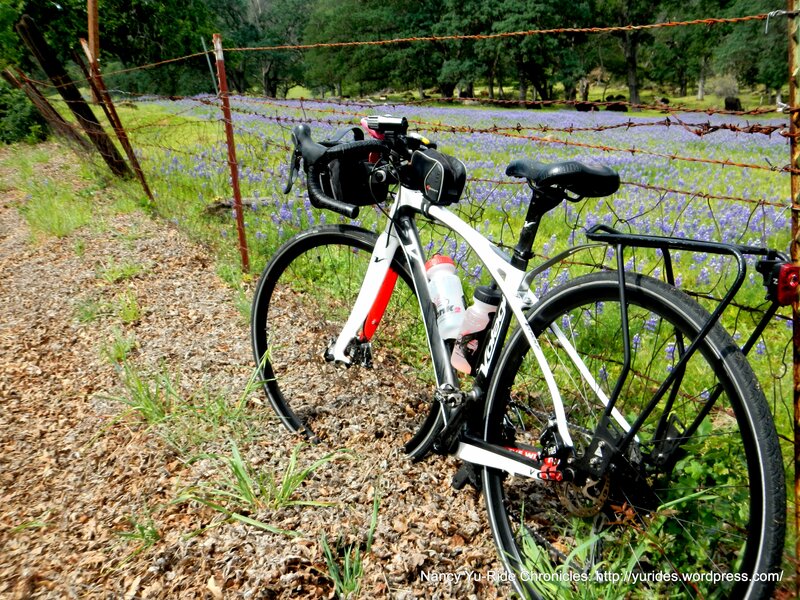 It’s listed as 105 miles with ~7000′ of elevation gain. 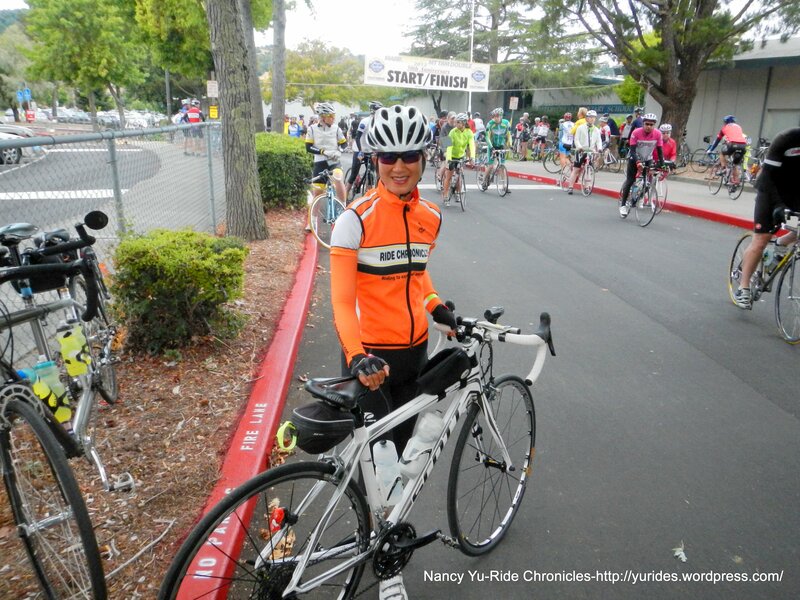 We set off at 7:20 AM-58F. 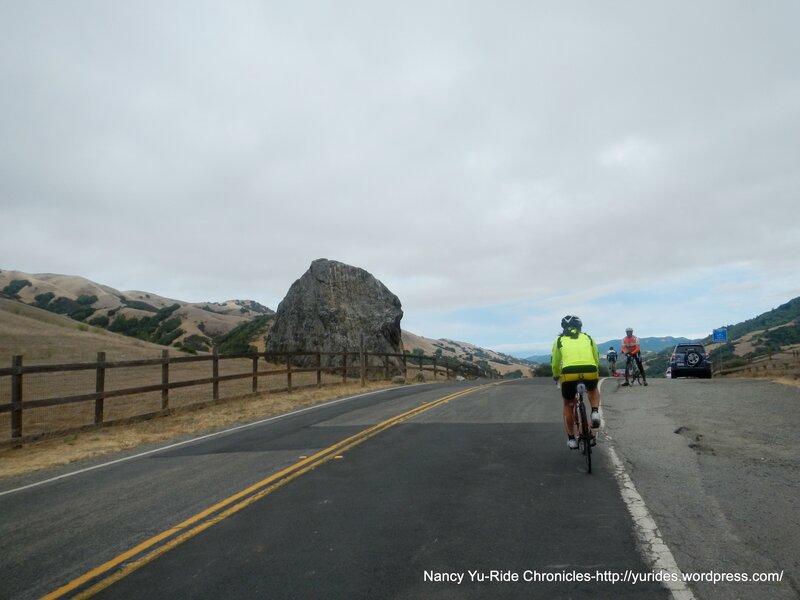 We head west on Lucas Valley Rd for the next 4.5+ miles up to Big Rock. 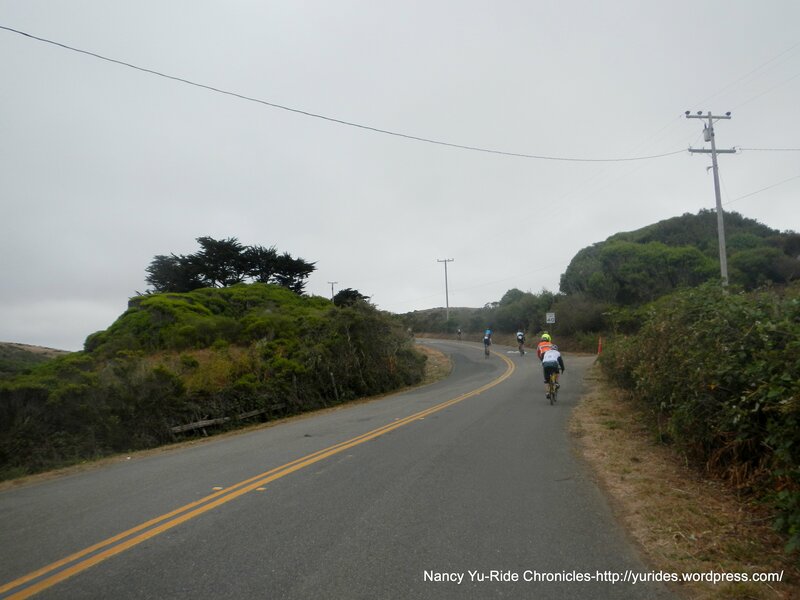 The first several miles are fairly flat with the climbing beginning after you pass the wooden Indians. 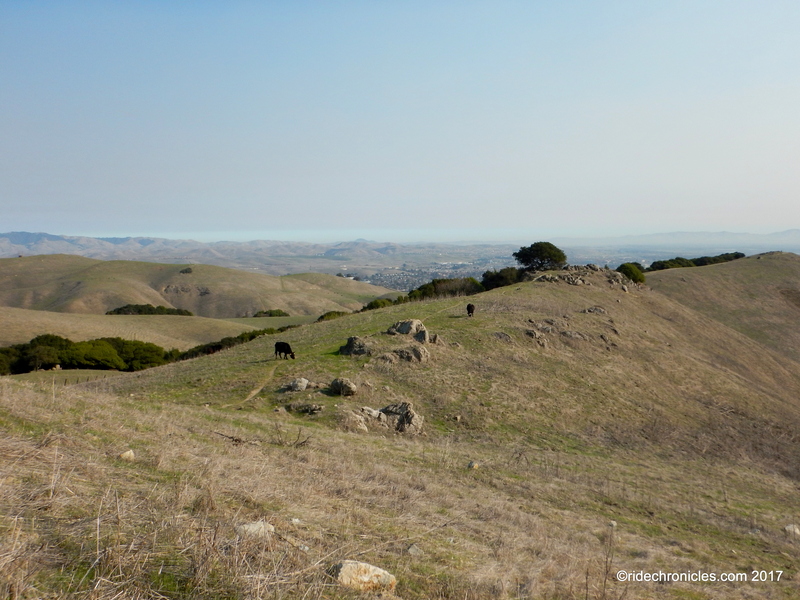 It’s under a mile long with gradient ranges of 7-9% up to the summit. 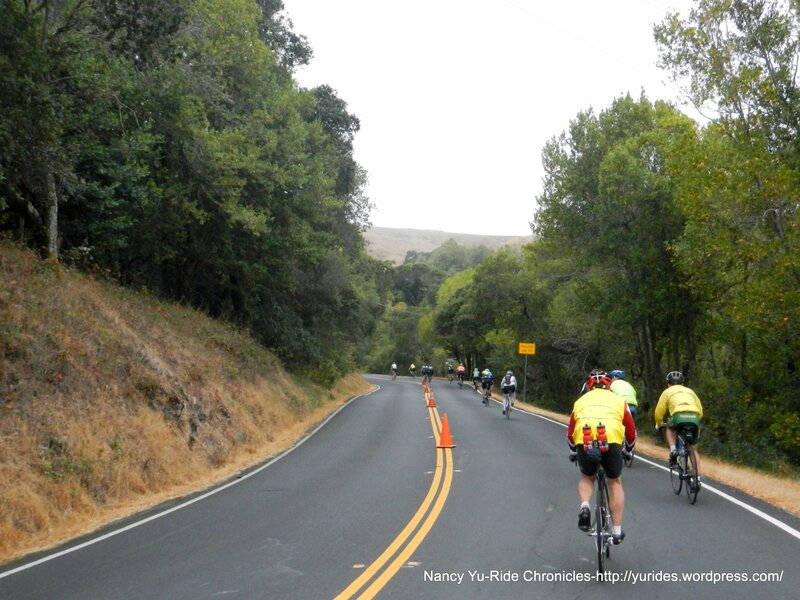 The 1.5 mile lane closure from Westgate Rd to the summit helps make the ride safer for us all. 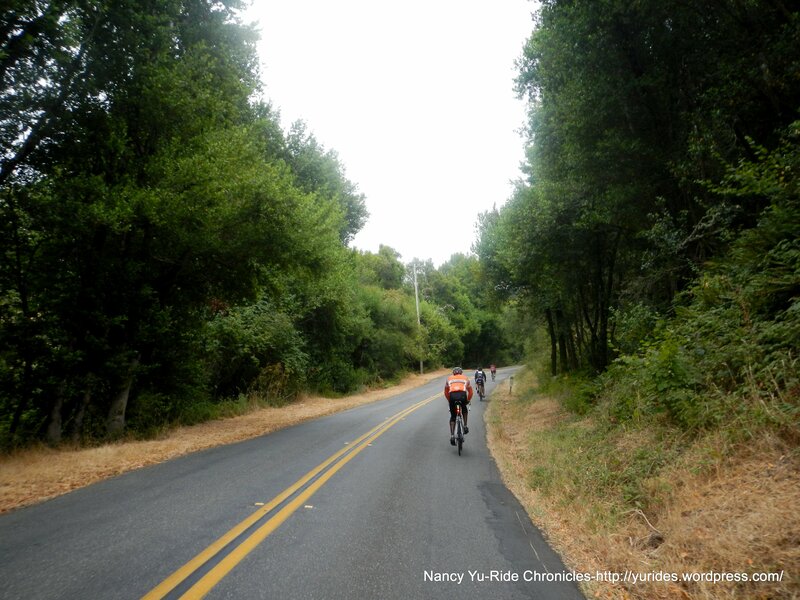 The fun descent on Lucas Valley takes you pass a few residential homes, ranches and through the towering redwood forests-it’s beautiful back here! 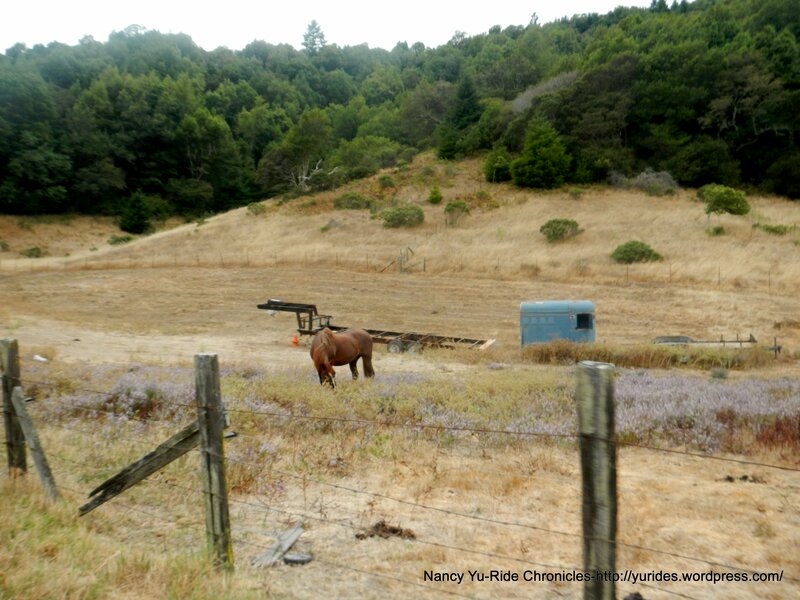 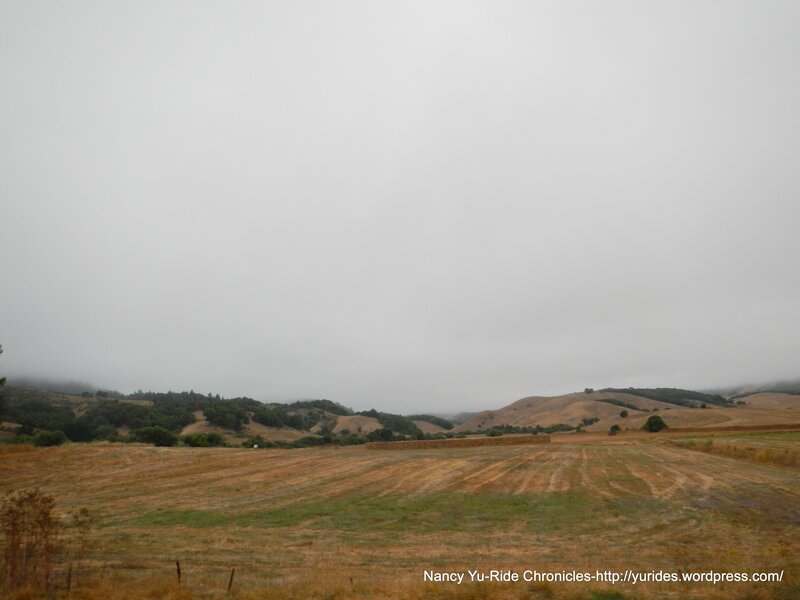 The road leads you to the open grasslands along Nicasio Valley Rd. 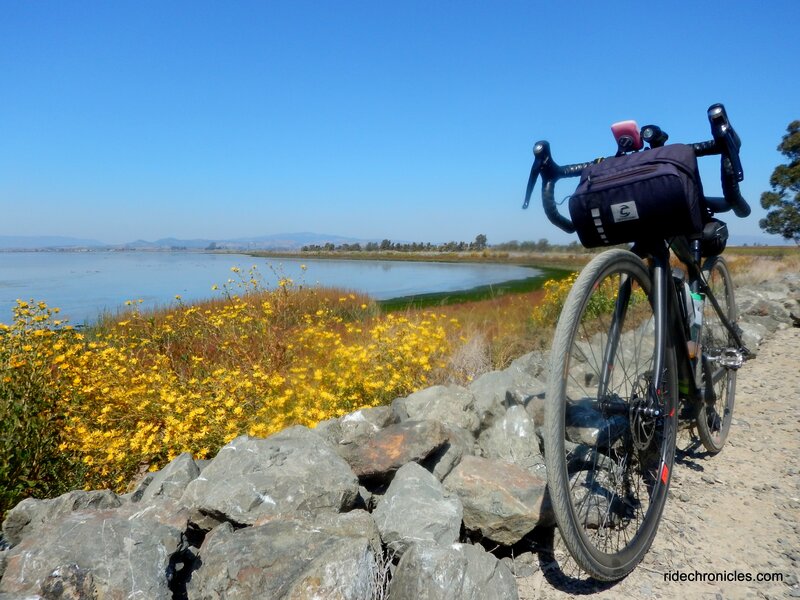 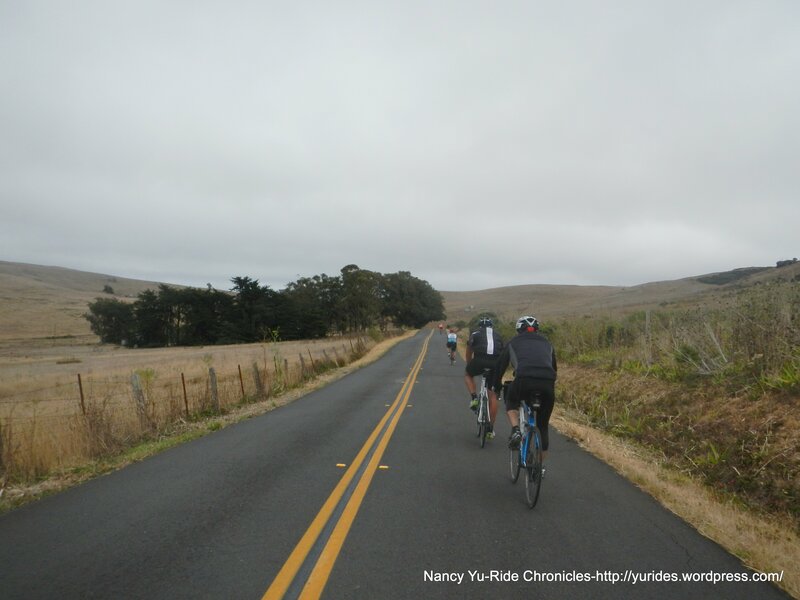 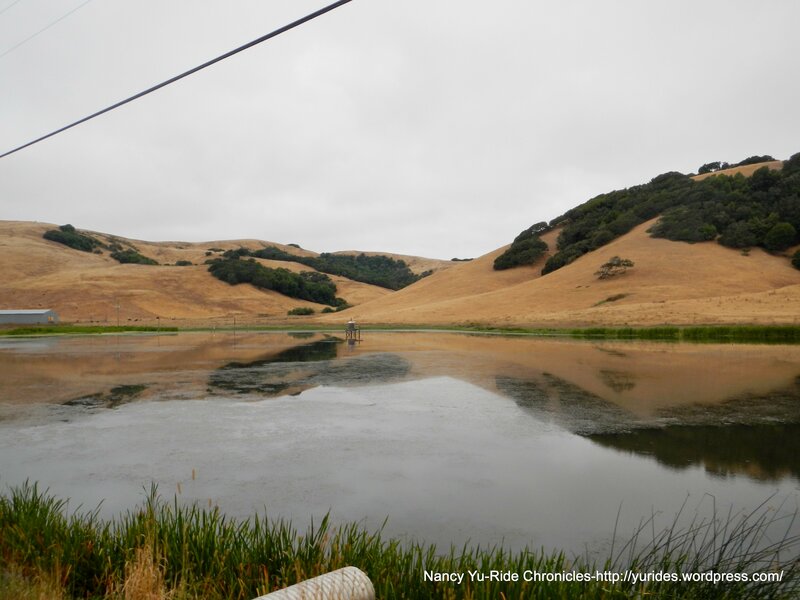 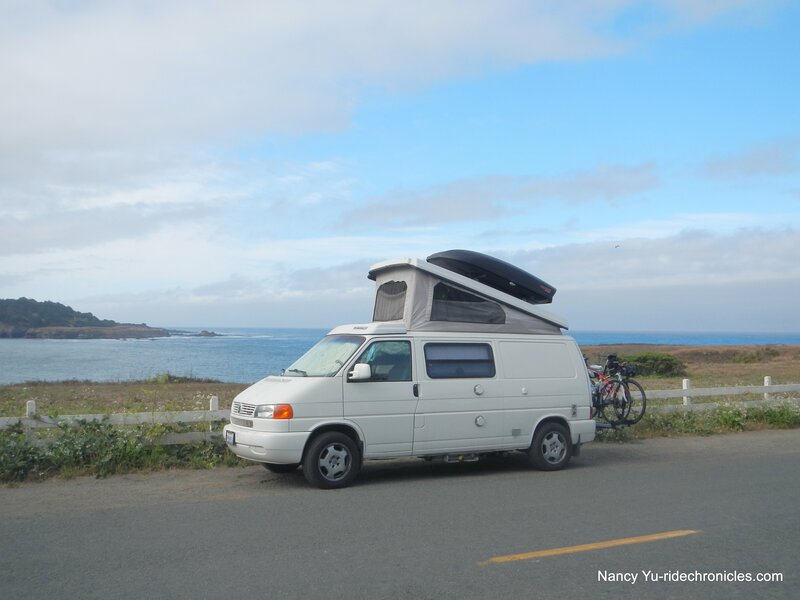 We bypass the first rest stop at the Nicasio Valley School and continue along the Nicasio Reservoir to the next climb up Pt Reyes Petaluma Rd. 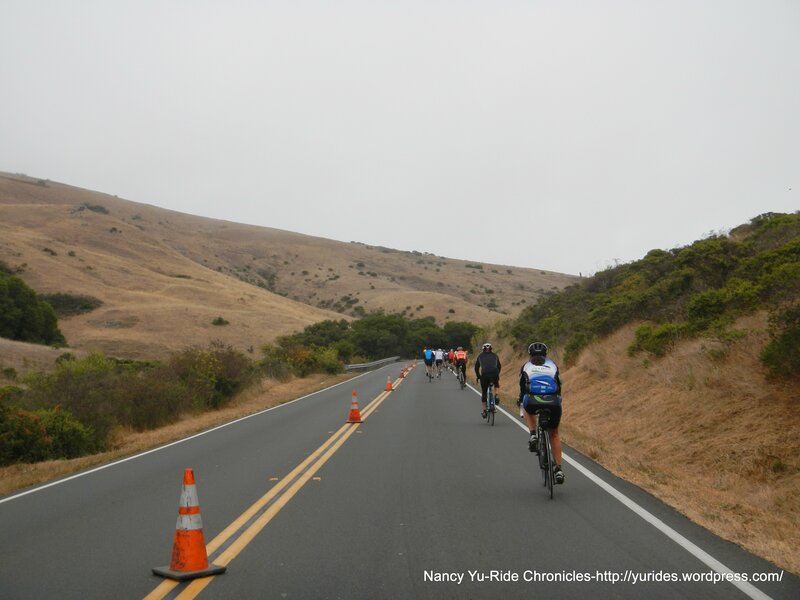 The climb up Rocky Hill is a little over a mile long with gradient ranges of 6-8%. 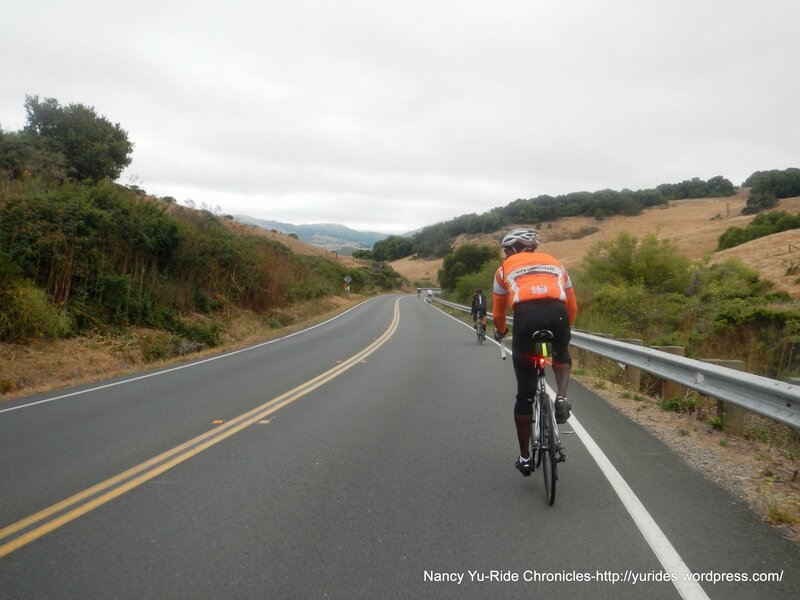 Rider safety is also greatly improved by the lane closure on Pt Reyes Petaluma Rd from north of Nicasio Valley Rd to the top of Rocky Hill. 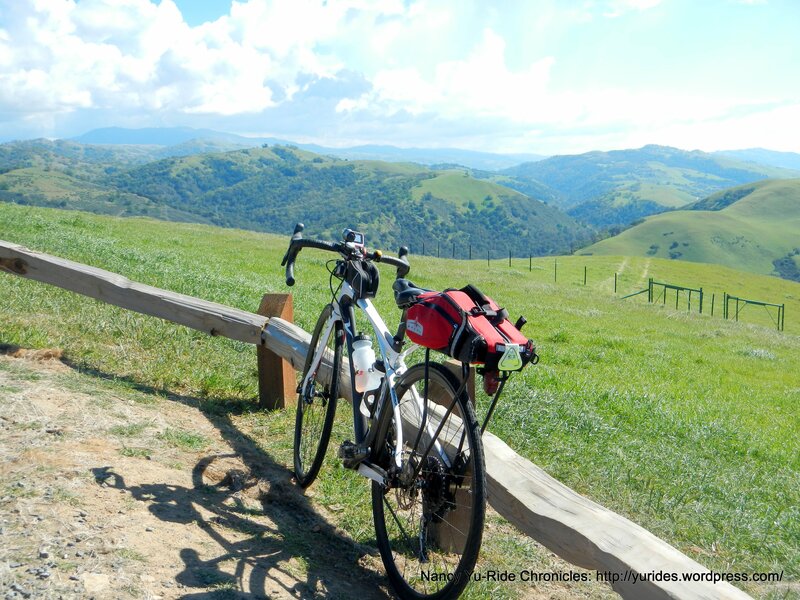 The descent takes you pass the Marin Cheese Factory and through the open fields and pastoral meadows of Hicks Valley. 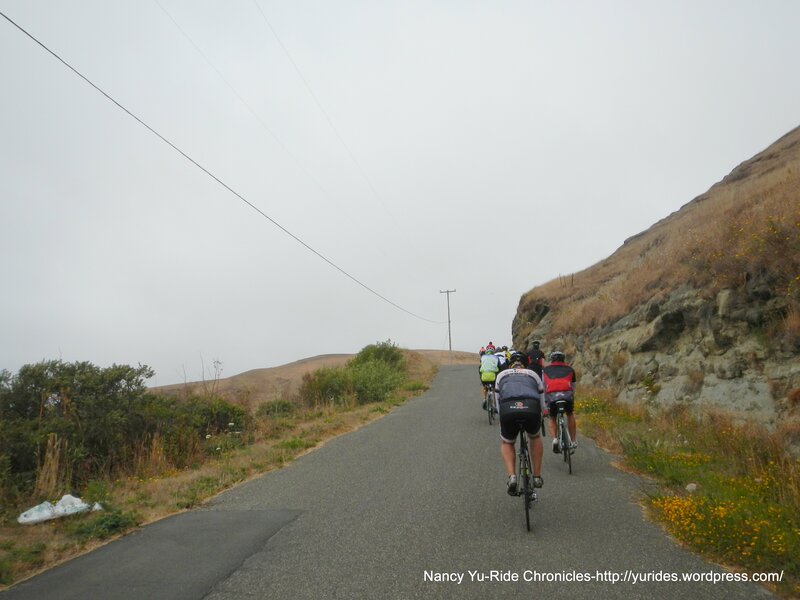 We continue on Pt Reyes Petaluma Rd for the next climb up Red Hill-it’s short and steep with grades ranging from 9-11%! 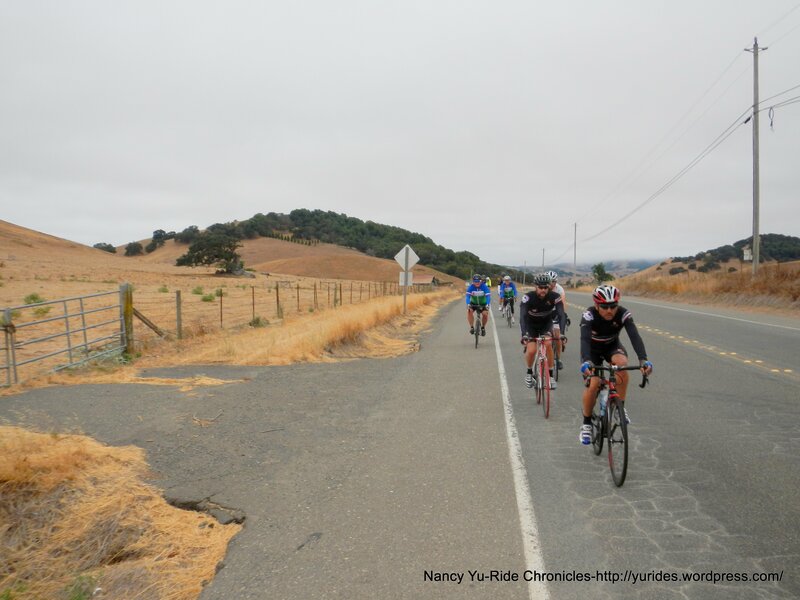 That’s followed by a twisty, curvy fast descent through the valley; it’s not all downhill-there are several other short climbs along this stretch of road before we reach the outskirts of Petaluma on Sunnyslope and F St.
We arrive at Rest Stop #2-McNear Park, mile 27.2 at 9:09 AM. 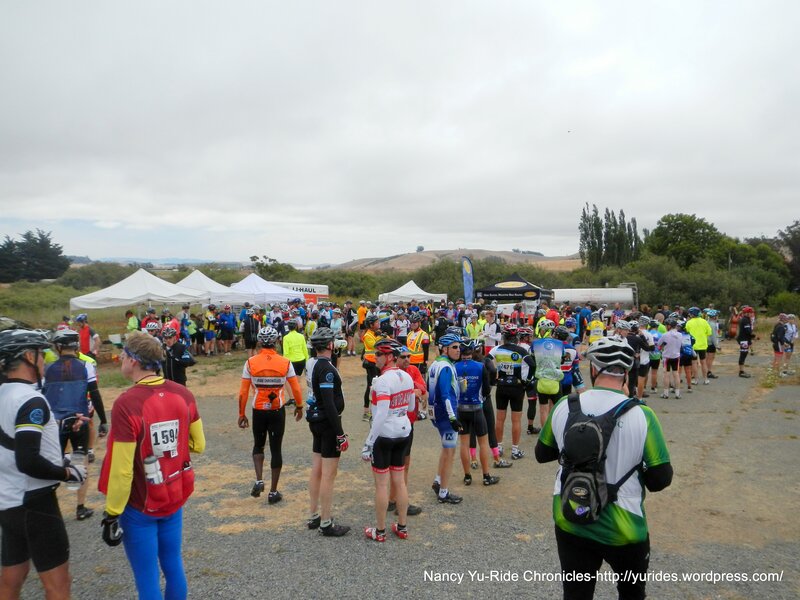 This place is packed with cyclists! 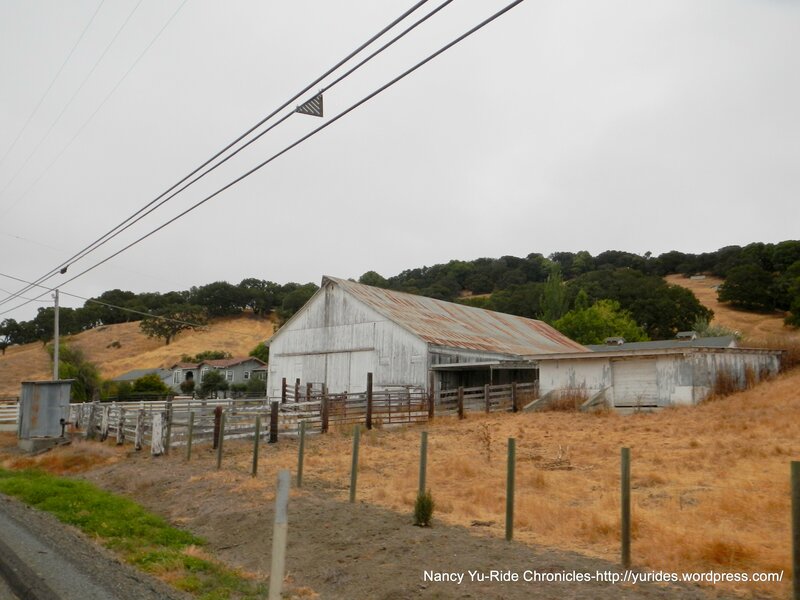 The route continues from F St to 8th and D St. and out through the residential neighborhoods on Windsor Dr and Western Ave to Chileno Valley Rd. 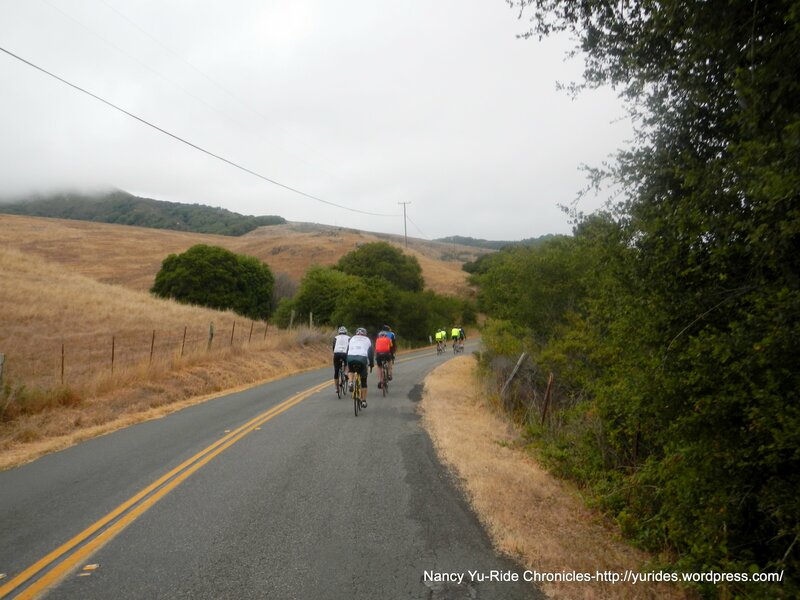 We stay on Chileno Valley Rd for the next 3.8 miles towards Helen Putnam Park; there are several climbs along this stretch of road before we make the right turn to head west. 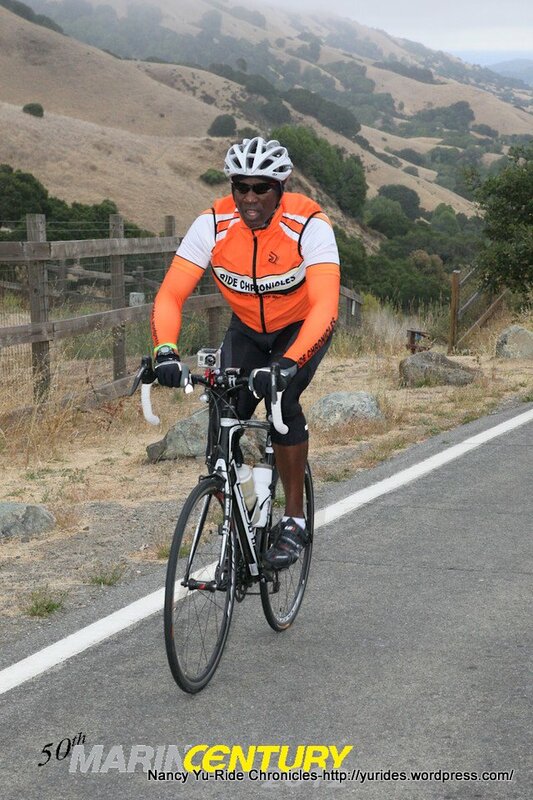 The remaining 9.7 miles is on a beautiful country back road with minimal traffic! 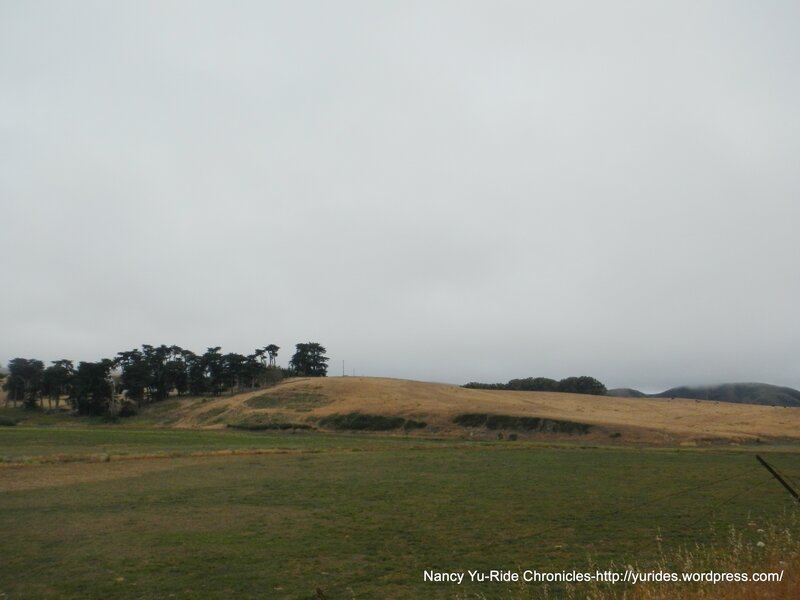 We roll through the valley on a series of gentle rollers with one short climb just past the farm house. 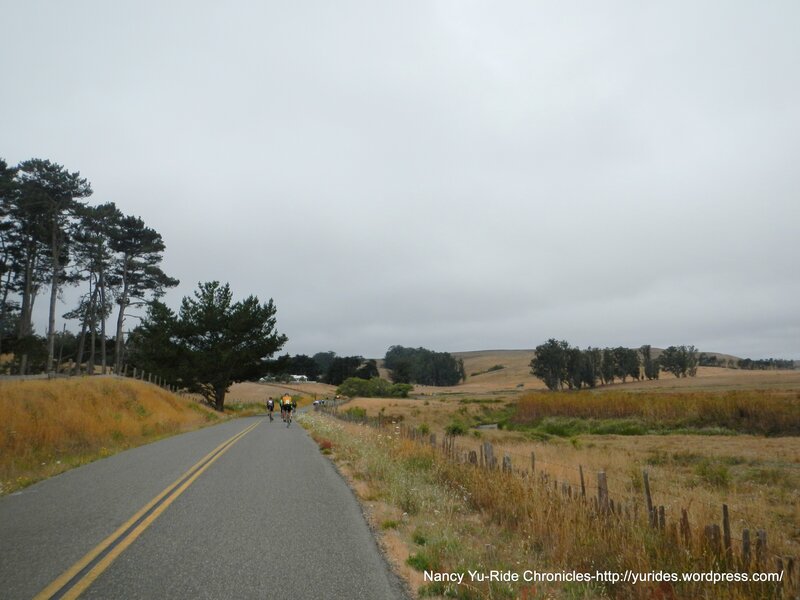 The descent brings you to the intersection at Tomales Rd. 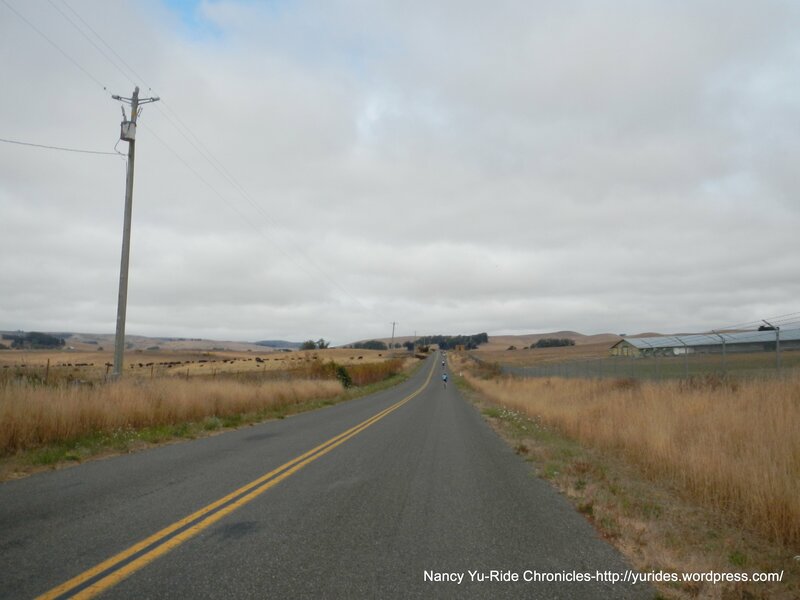 We left turn on Tomales Petaluma Rd takes us across the ridge on Alexander Rd. 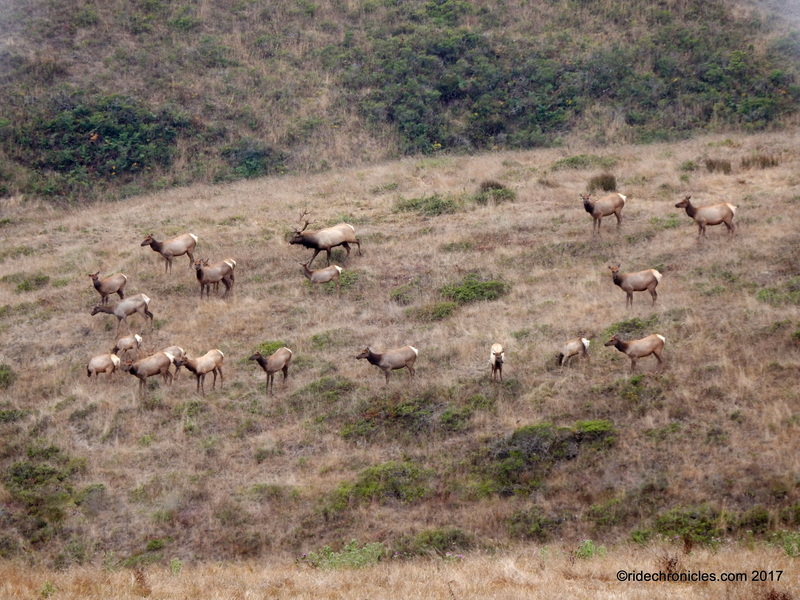 You can hear all the guns firing off from the shooting range! 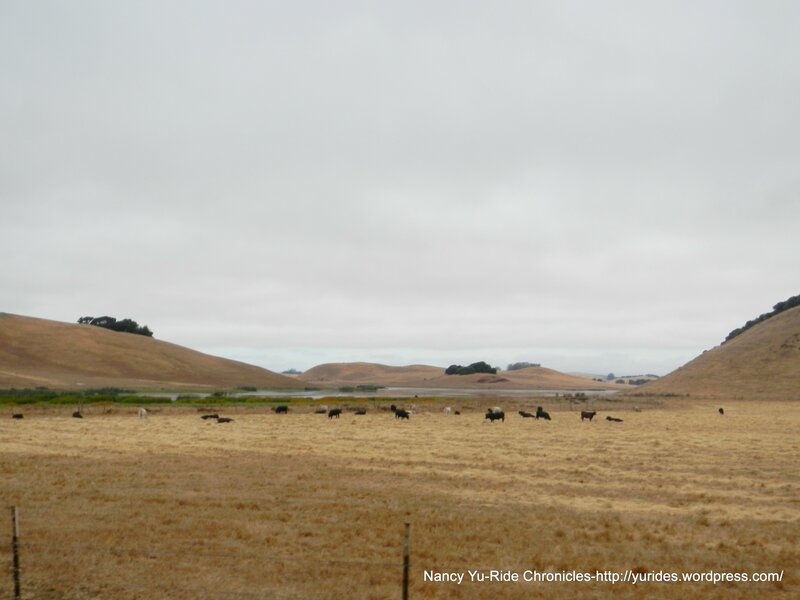 We continue on Fallon-Two Rock for the next 3.7 flattish miles through open fields, ranches and of course more bovines! 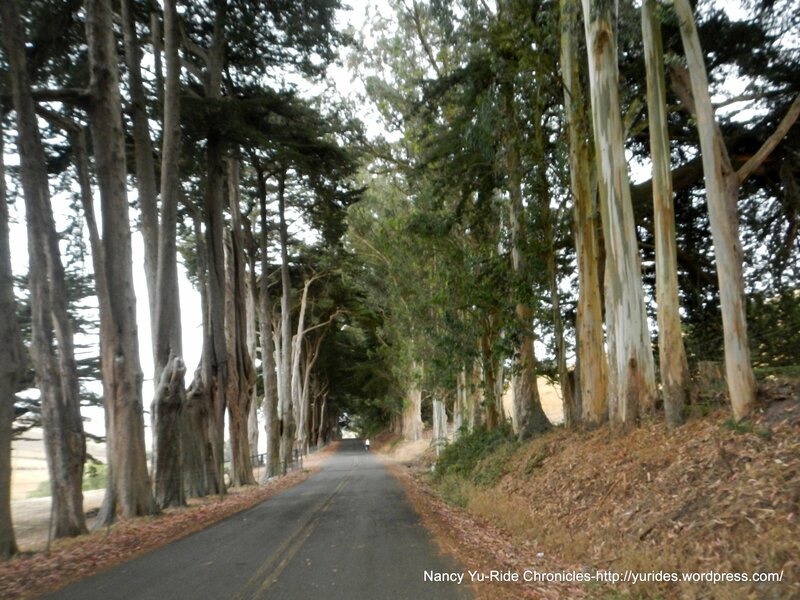 The long rows of towering eucalyptus trees are not only scenic but also serves as windbreaks in this area. 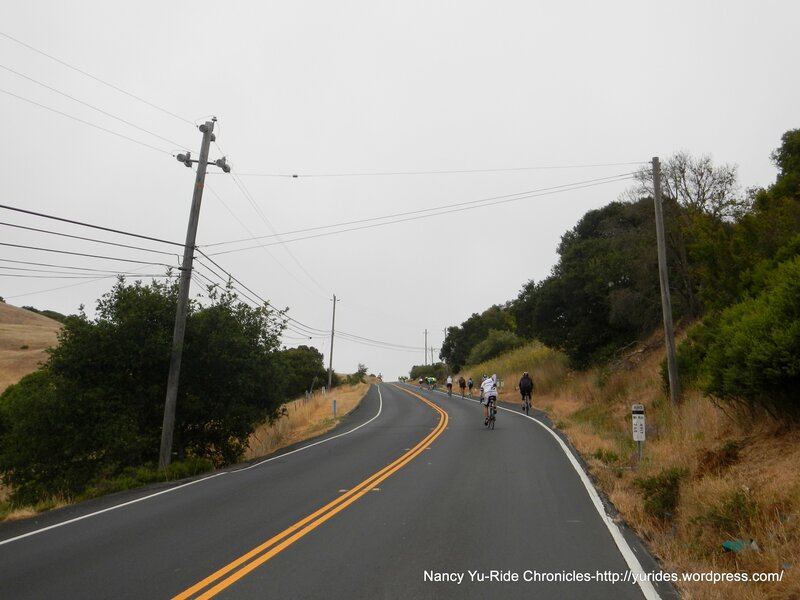 We cross Hwy 1 and continue on Whittaker Bluff Rd-there is a moderate climb from here to Franklin School-Valley Ford Rd. 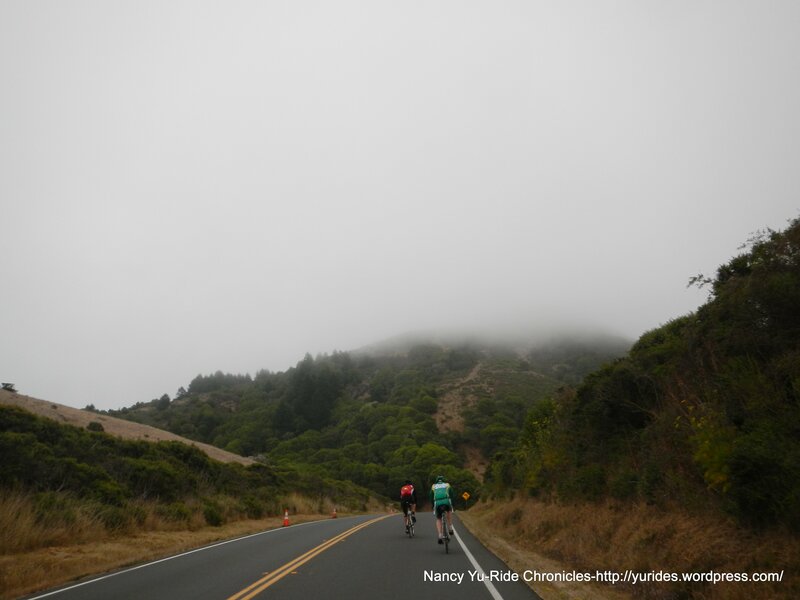 The climbs up and over the ridge have gradient ranges of 7-10%-take the time to admire the views of the valley below. 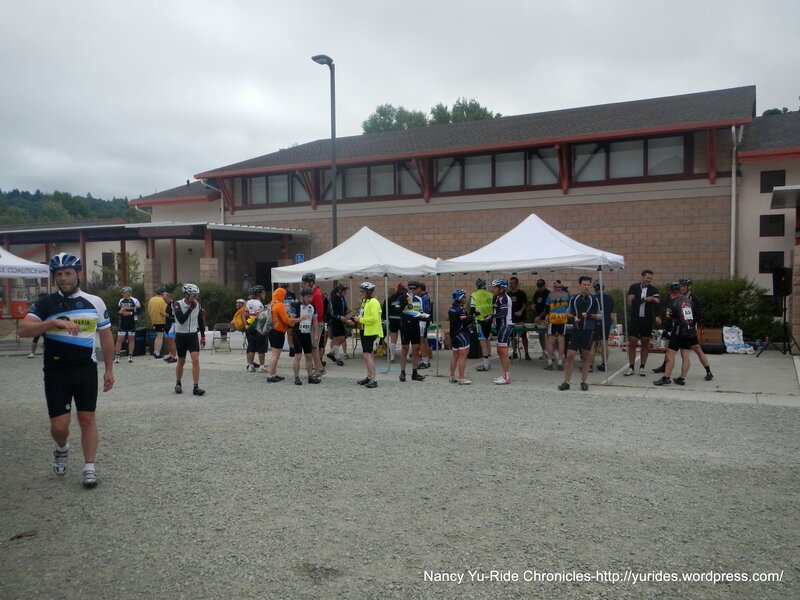 We reach Rest Stop #3-Valley Ford, mile 57.8 at 12:30 PM-63F. 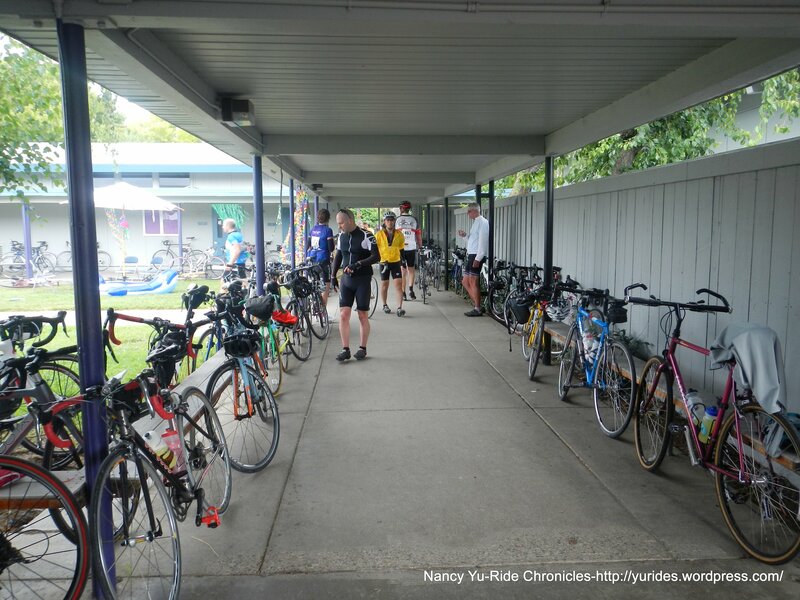 This place is packed! 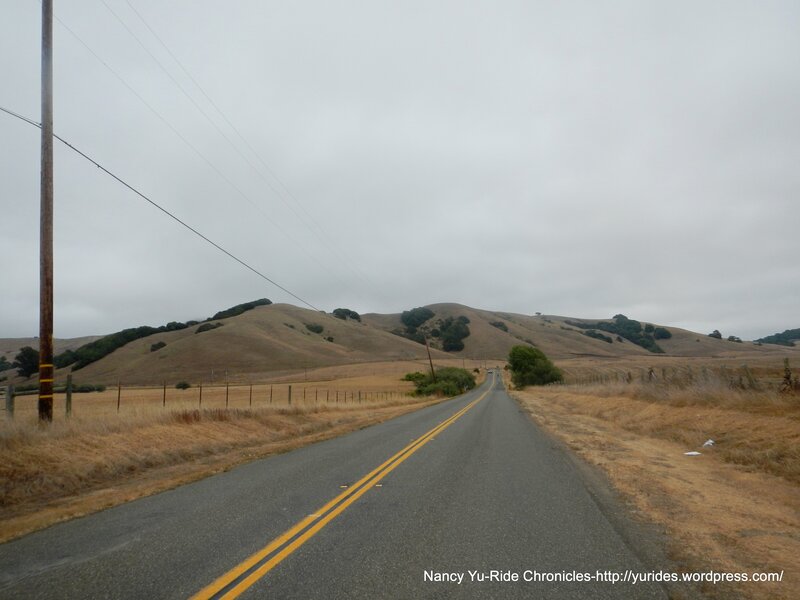 From Hwy 1, we head south on Middle Rd for the next scenic 5.5 miles; the first climb is under a mile with gradient ranges of 7-12%-this drops you back down towards Whittaker Bluff. 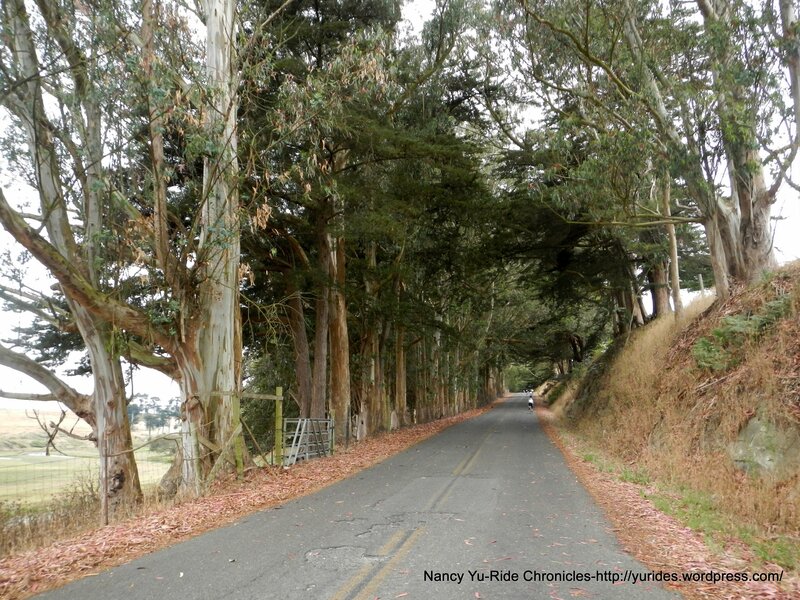 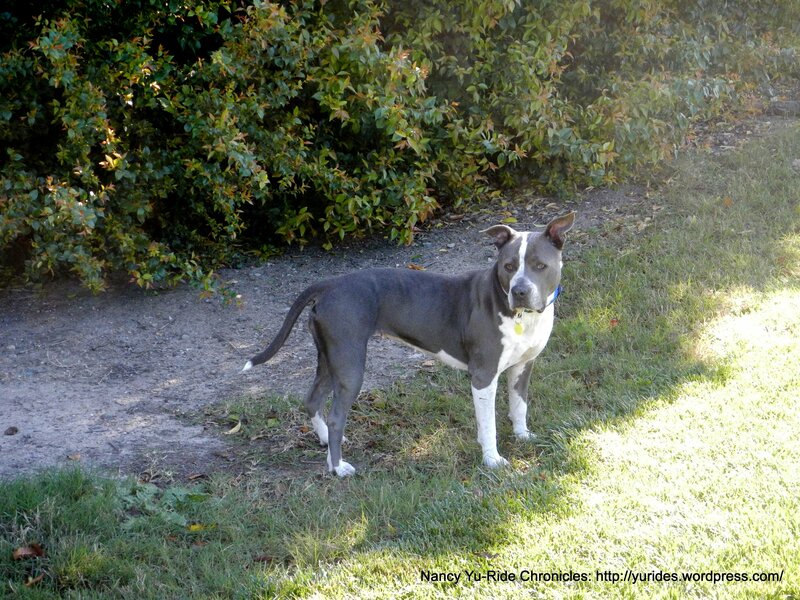 We continue on Middle Rd at the Y intersection to Dillon Beach Rd. 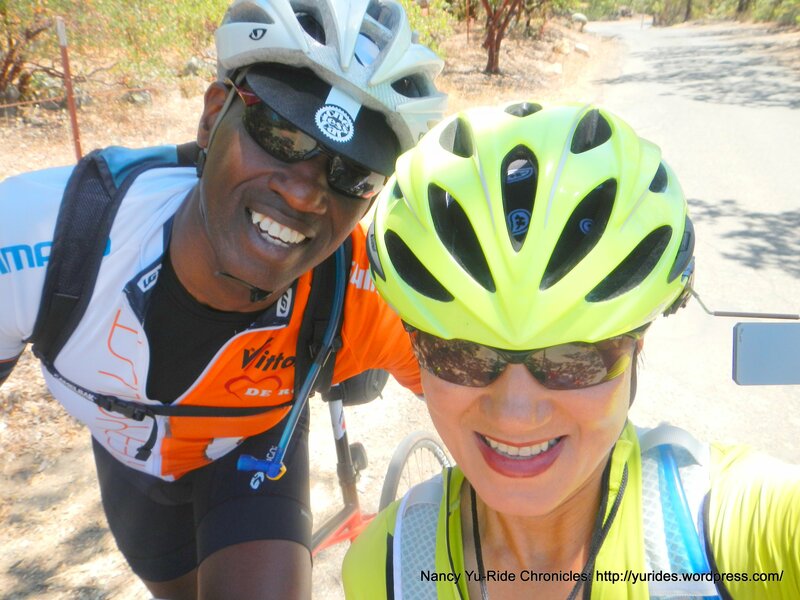 This section starts off very gradual and builds up to grades of 7-10% as you approach the top. 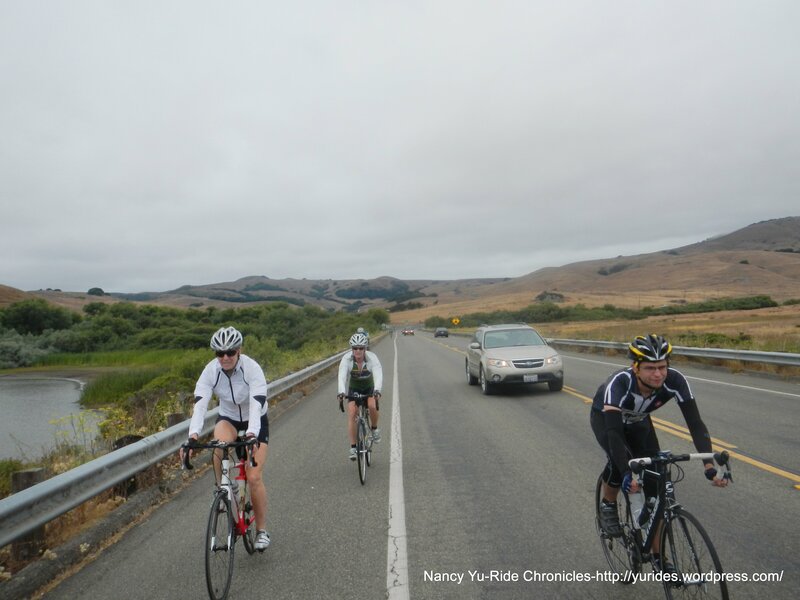 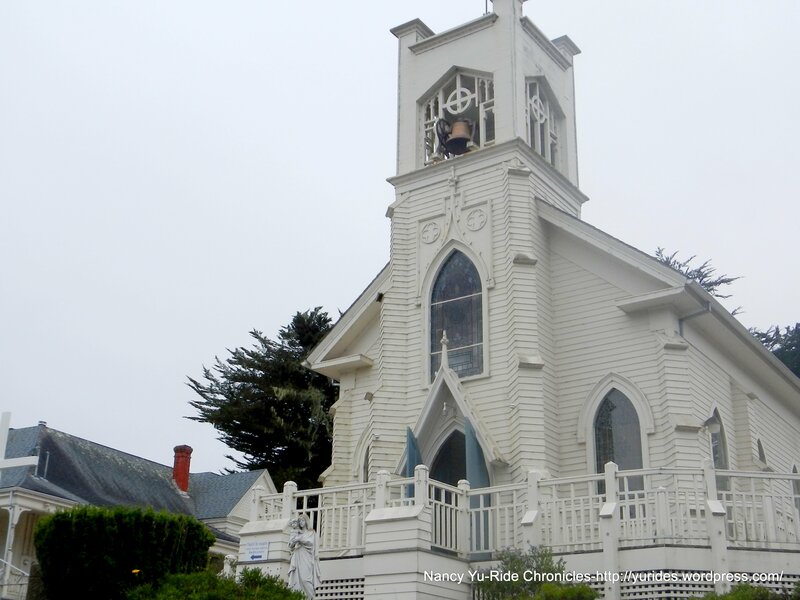 Dillon Beach Rd takes us into the town of Tomales where we continue to head south on Hwy 1 for the next 7.3 miles. 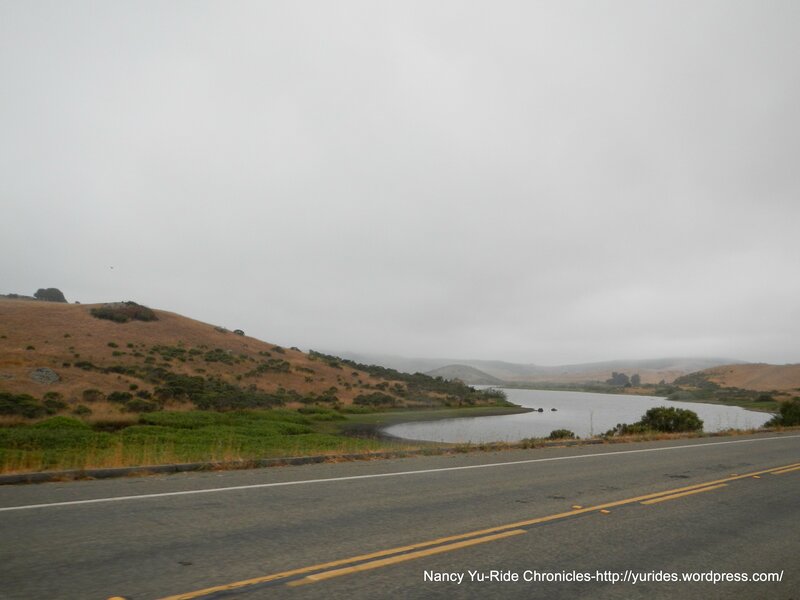 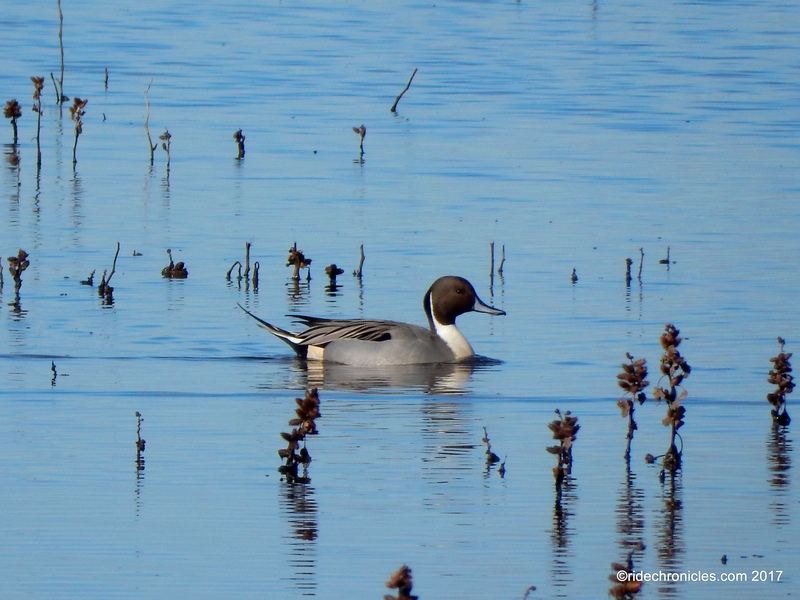 The flat ride through the lagoon is always no-fail windy! 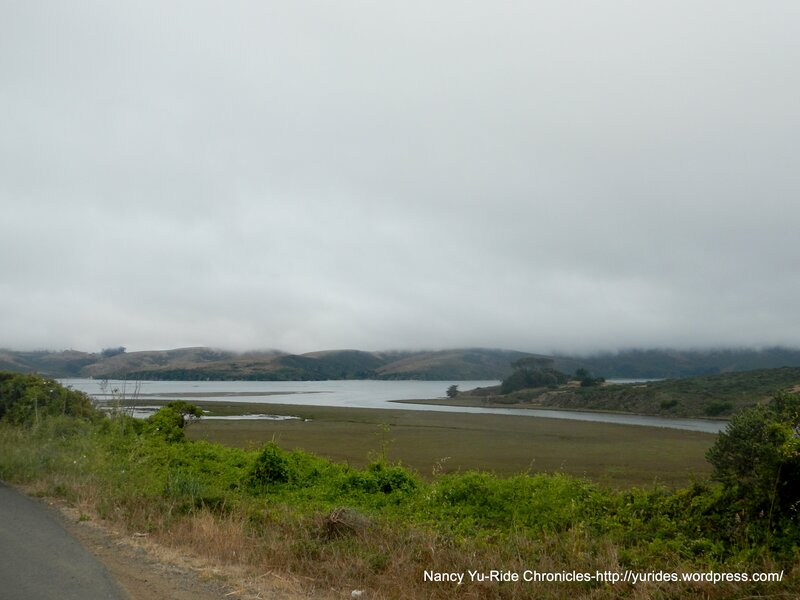 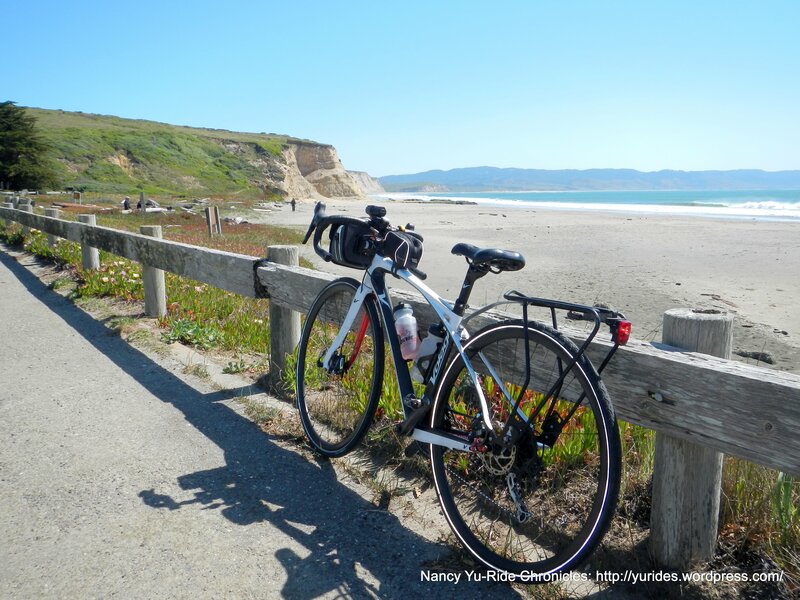 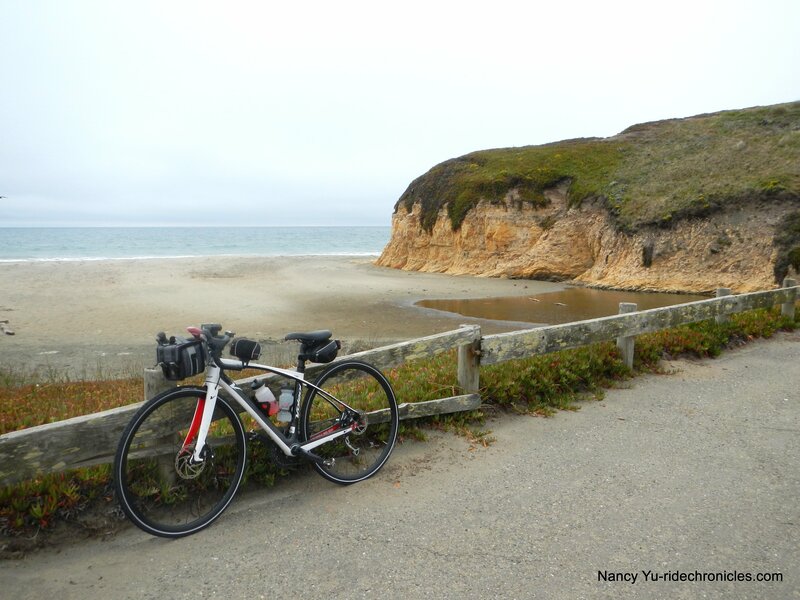 The climbs and rollers along this stretch have fabulous views of Tomales Bay! 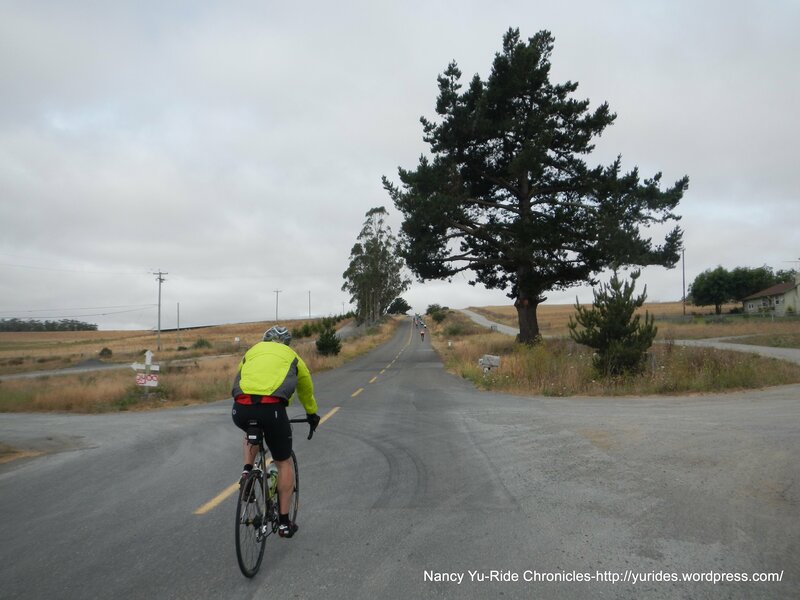 The last climb on Hwy 1 descends very quickly into Marshall-get into your lower gear before making the quick left turn onto Marshall Petaluma Rd; the road tilts up immediately! 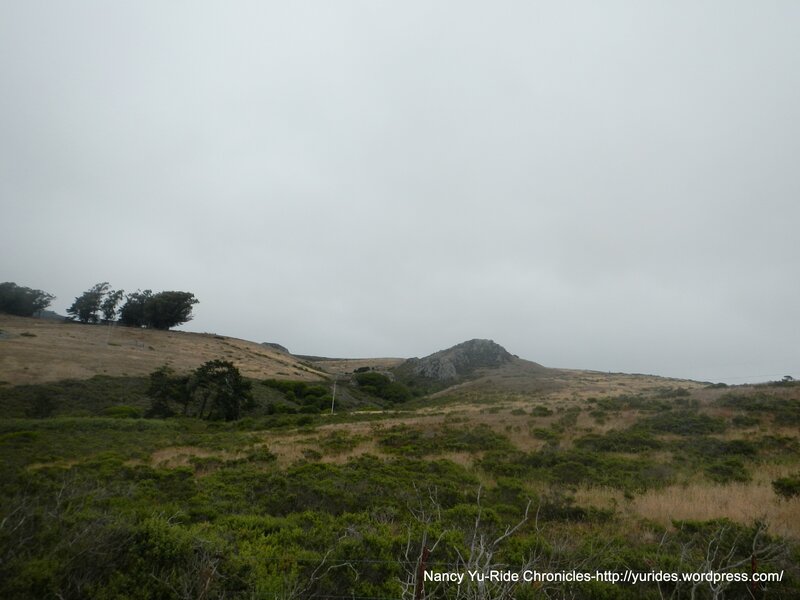 The stair step climb up the west side of “Marshall Wall” is about 3 miles with views of the open grasslands. 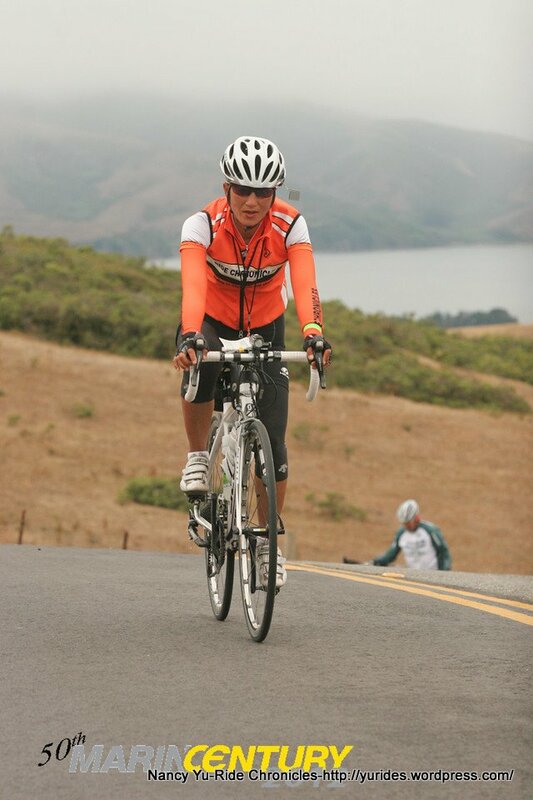 The average gradient is around 6-7% with steep pitches of 9-11%. 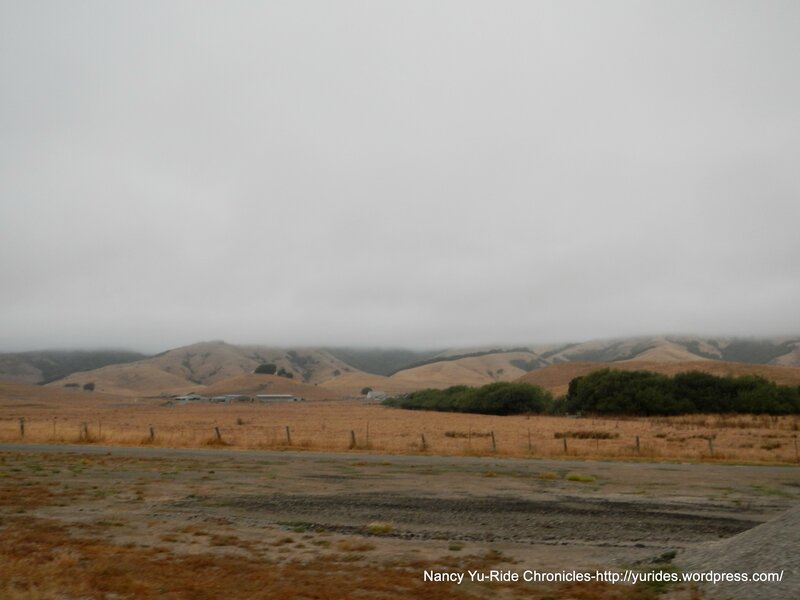 From the top of the ridge, you are rewarded with spectacular views of the rolling grassy hill and Tomales Bay-WOW! 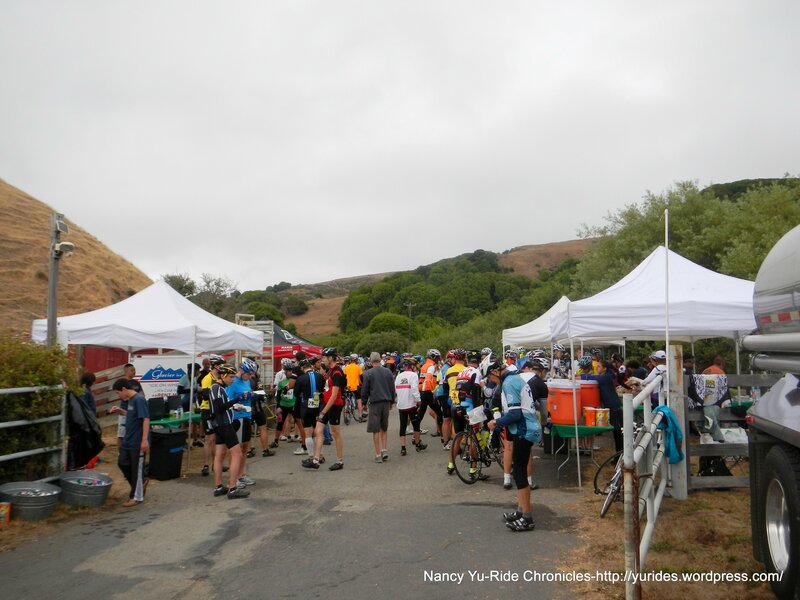 We arrive at Rest Stop #4-Walker Creek, mile 77.3 at 1:35 PM. 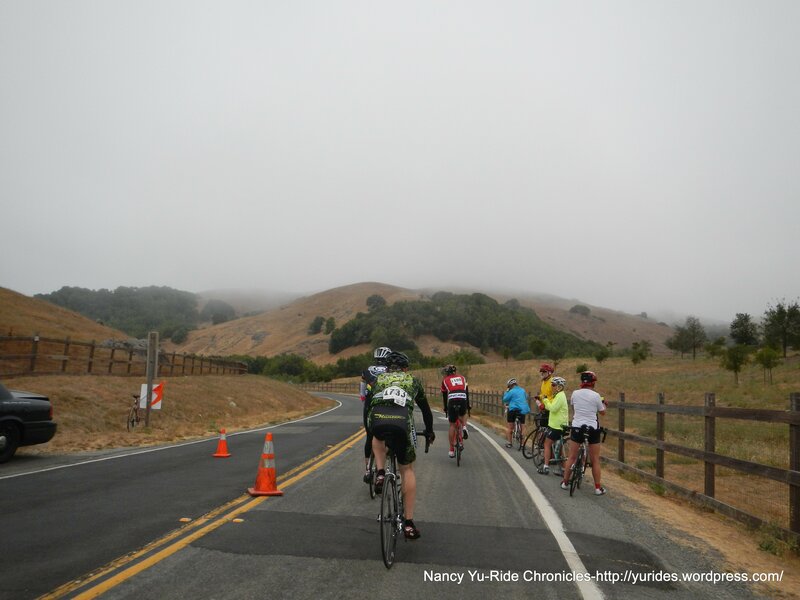 Volunteers are out on the road ringing you in with cowbells; It’s a party out here with live music playing! 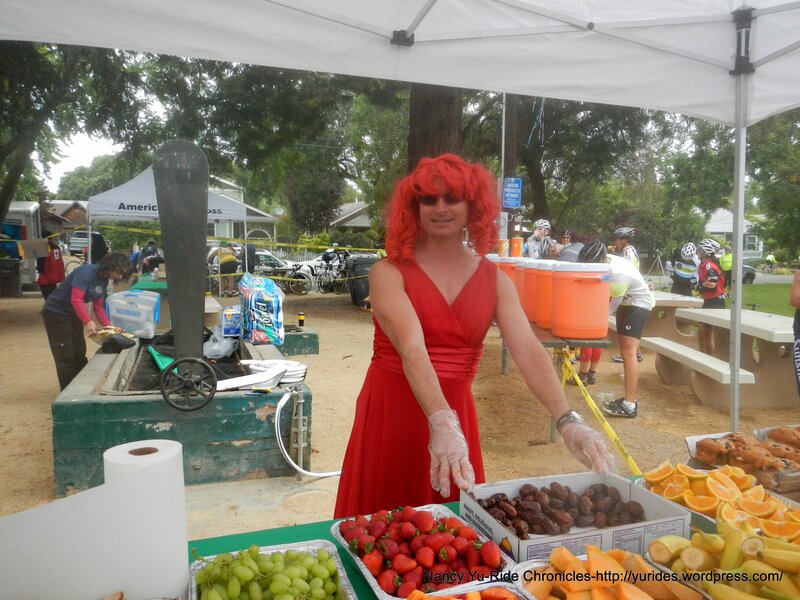 All the rest stops have an amazing array of summer fruits-they are sweet & delicious! 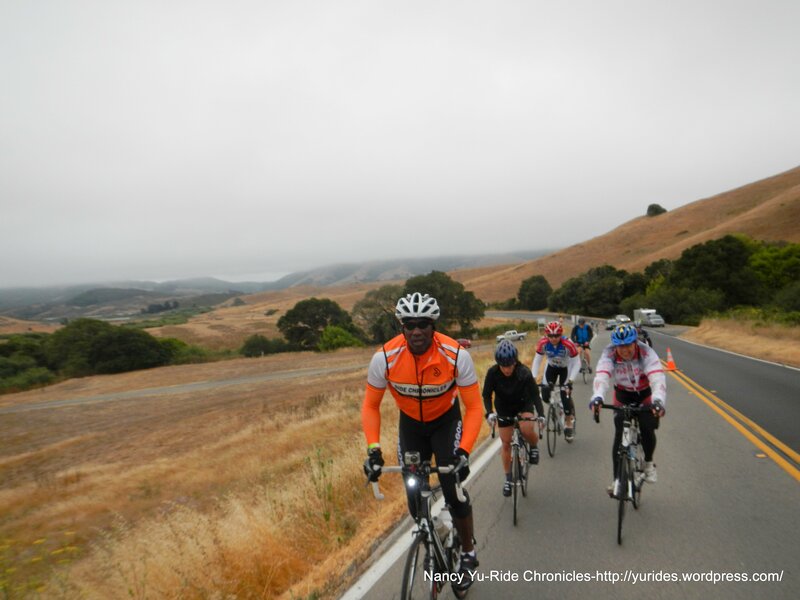 We’re almost done here-only 28.5 miles to go! 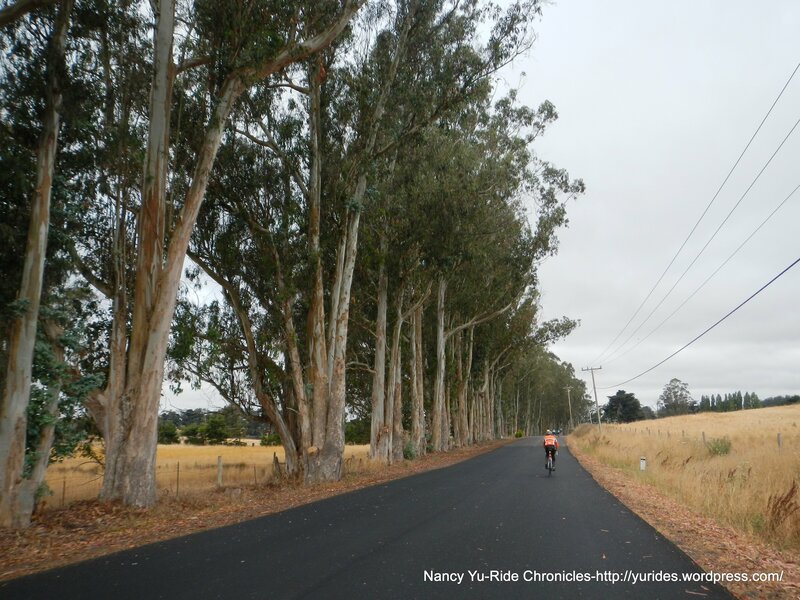 The rolling terrain heading east on Marshall Petaluma Rd leads us to Hicks Valley Rd and back onto Pt Reyes Petaluma Rd south. 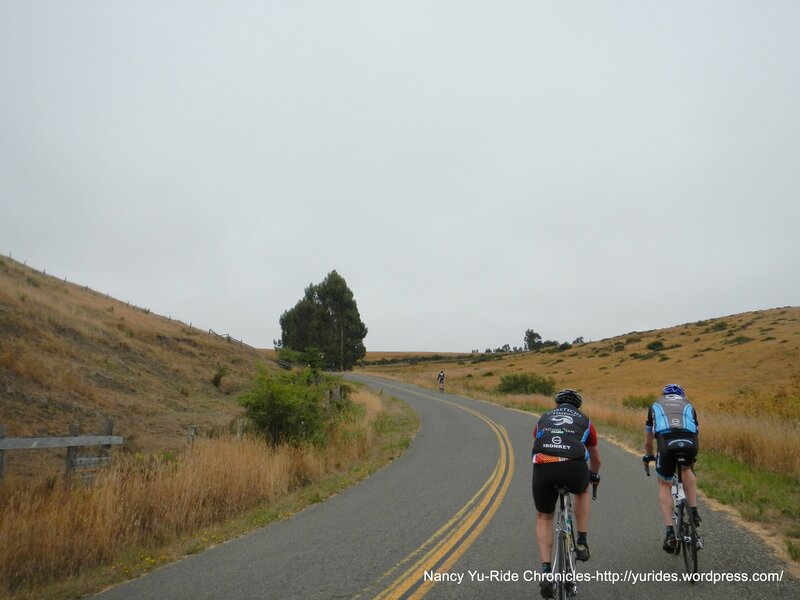 The climb up the back side of Rocky Hill is pretty short followed by a blasting descent to the turn onto Nicasio Valley Rd. 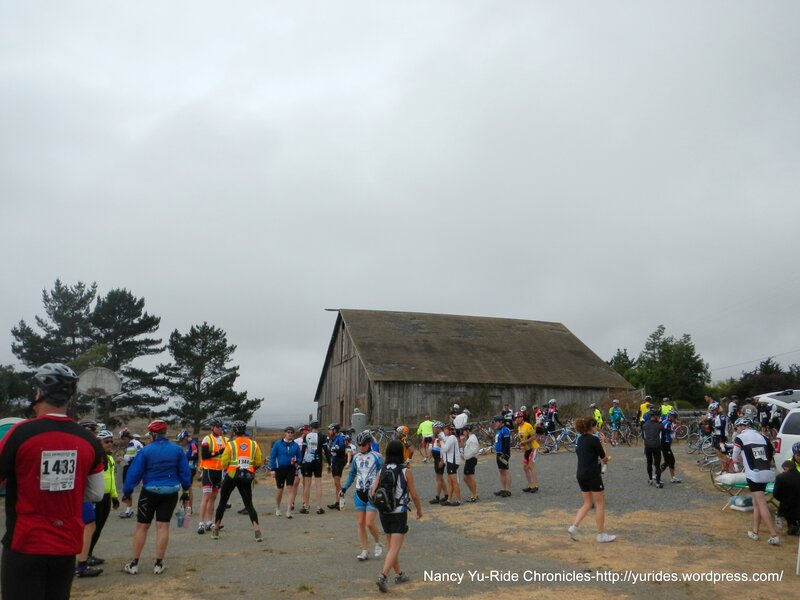 We reach Rest Stop #5-Nicasio Valley School at 2:52 PM-67F. 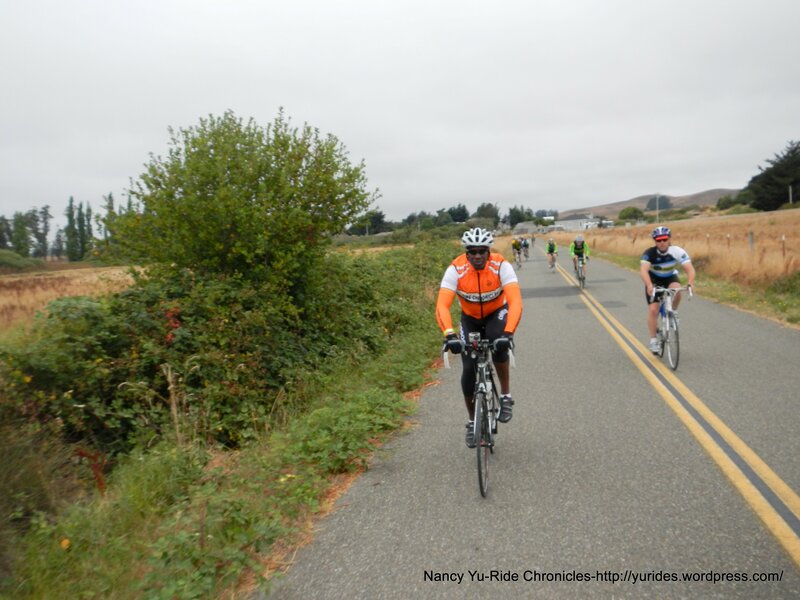 We run into Pat & Chris again along with Wayne E who drove down from Portland for this event. 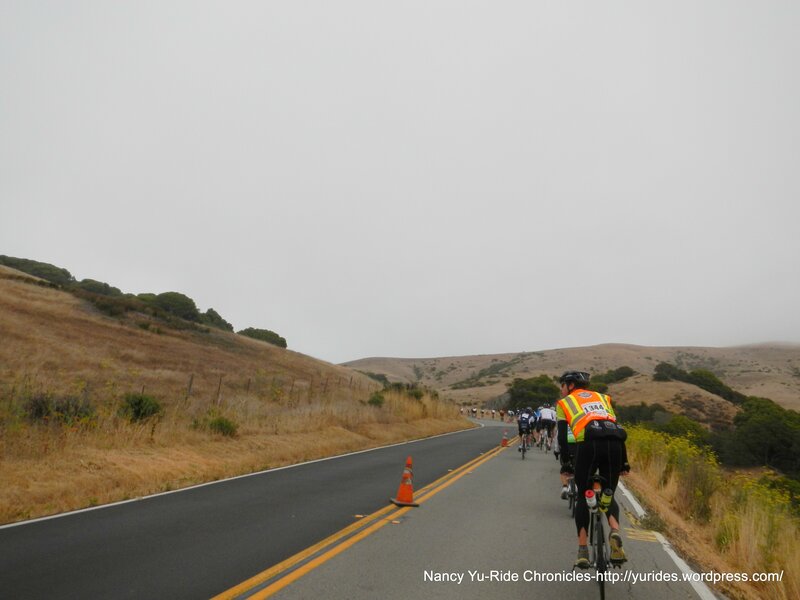 The miles are counting down-only 11.8 miles to the finish! 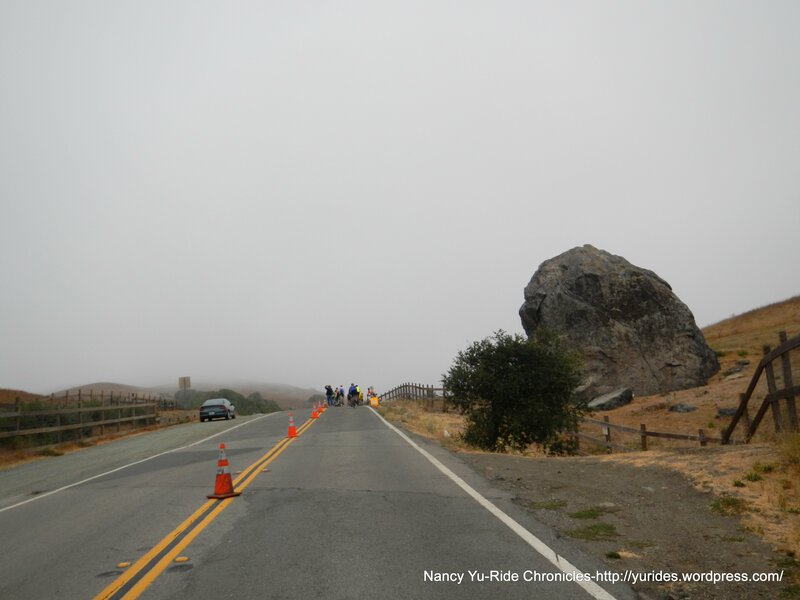 The gentle climb up the west side of Lucas Valley Rd takes us back up to Big Rock summit. 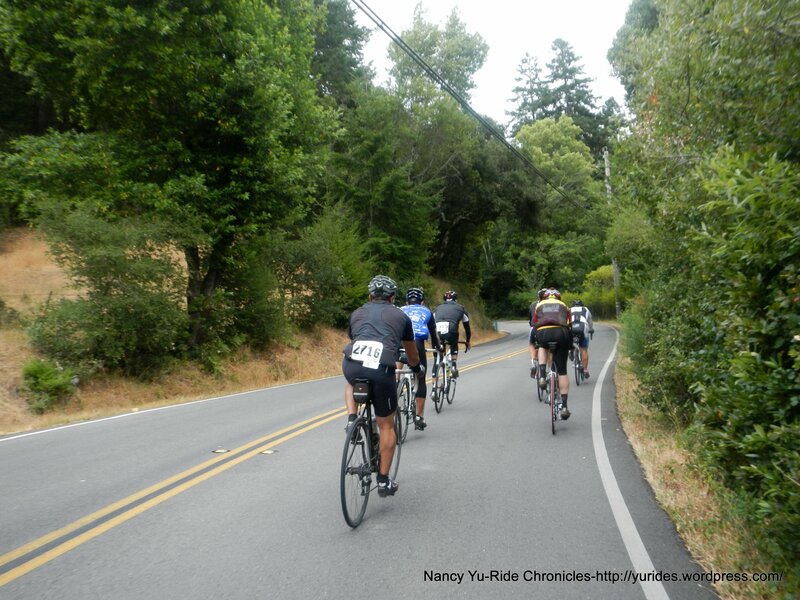 Be careful on the descent-there are several tight left turns here! 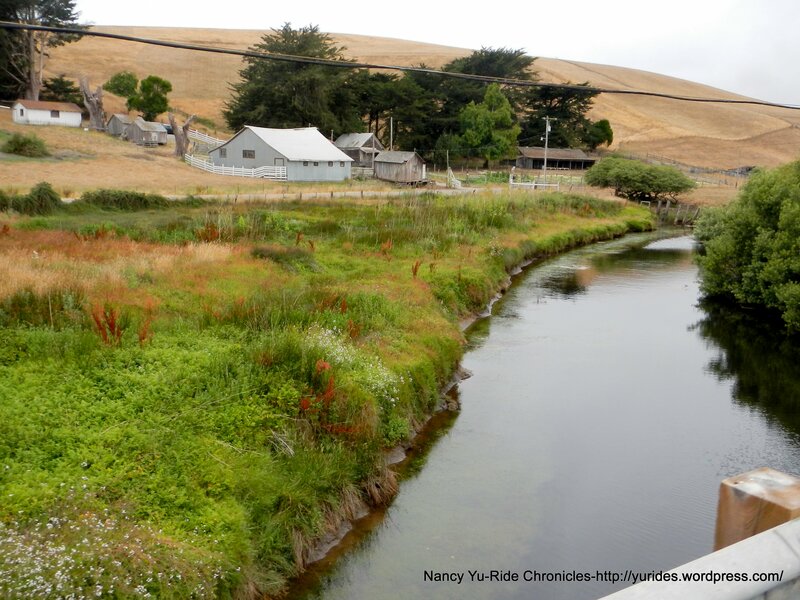 The flats on Lucas Valley bring us to Las Gallinas and back to the start/finish at Vallecito Elementary School. 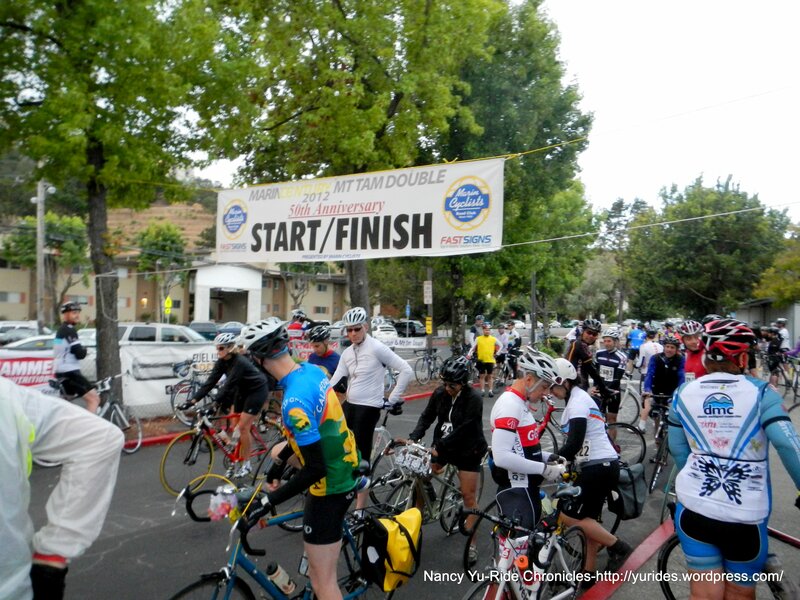 We finish at 4:00 PM. 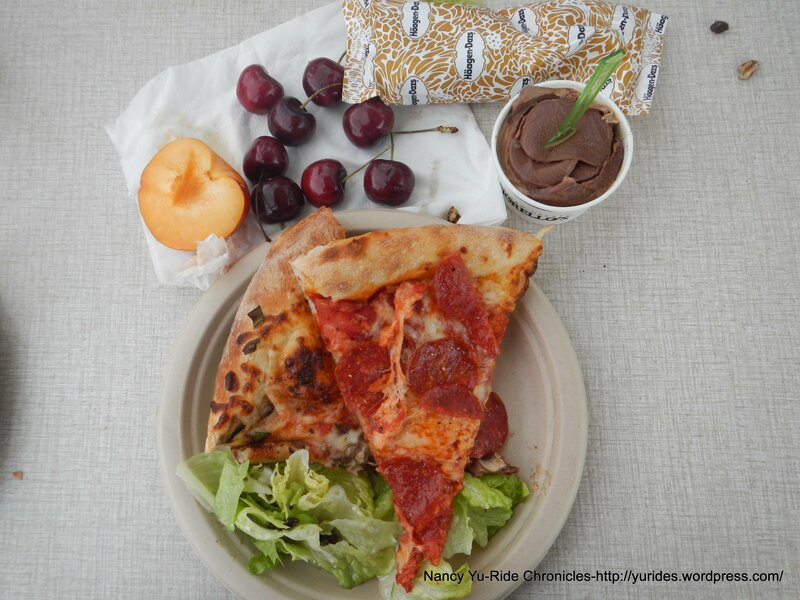 There is a post ride meal at the school with lots of food choices: BBQ chicken, salad, pizza, lasagna, fruits, ice cream and gelato-for sure I get a sampling of everything! 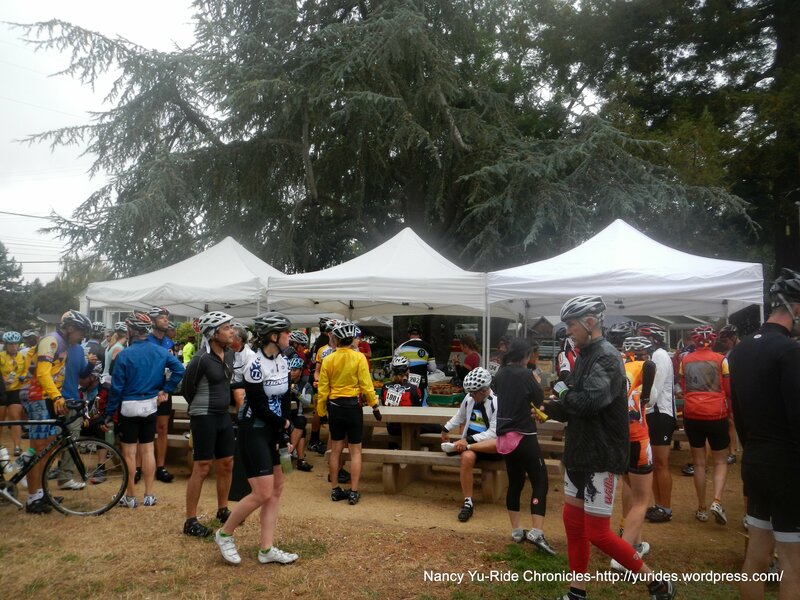 The must have is getting the gelato from the truck stand-it’s a great way to end the ride! 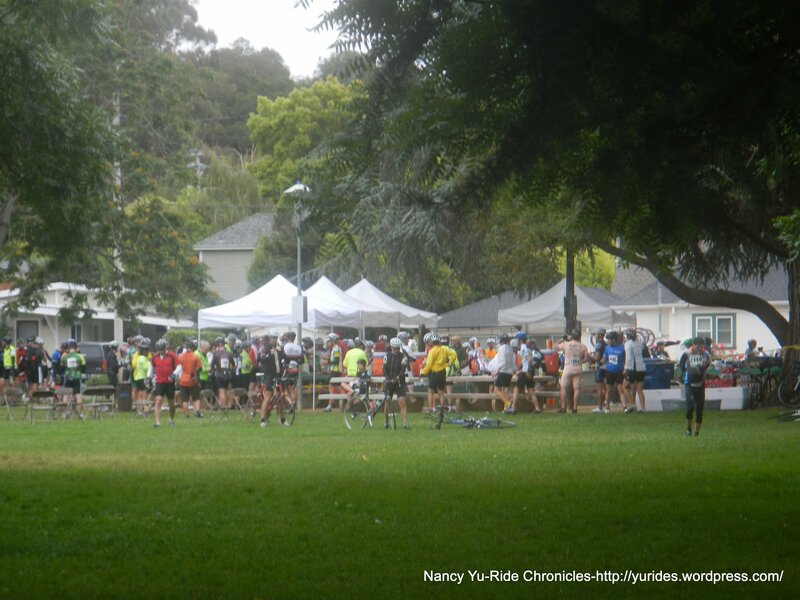 Thanks to all the Marin Century volunteers for being out there to support 2900 riders! 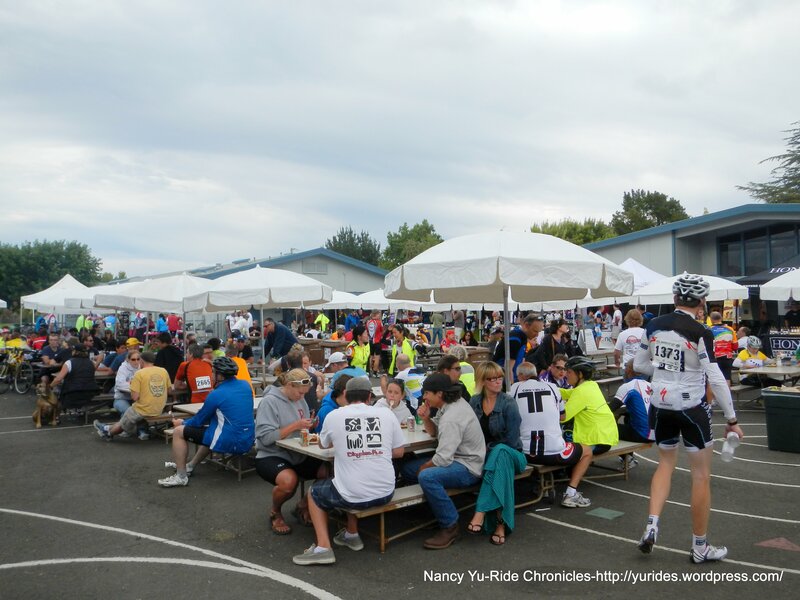 A big ‘thumbs up” for all the rest stop food and the post ride meal-it was all great! 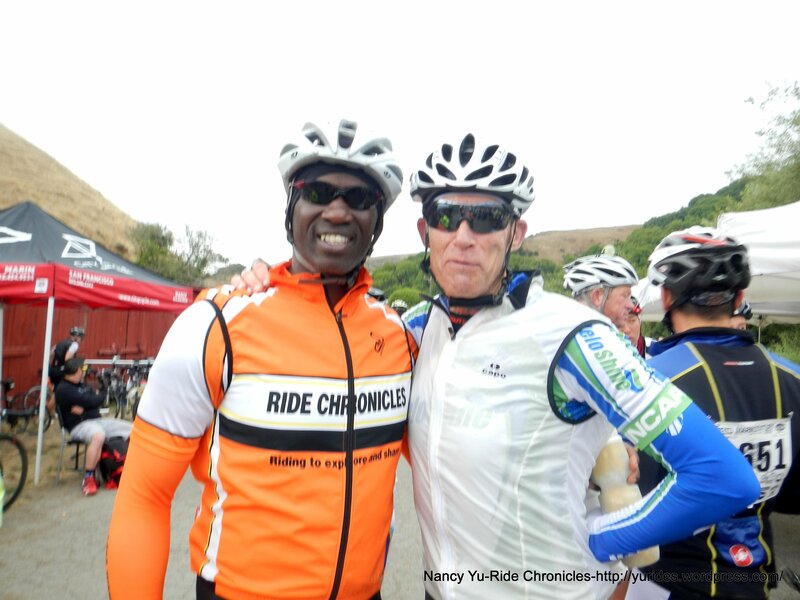 Michael and I probably spent too much time at the rest stops chatting up with friends but hey isn’t that what riding is all about? 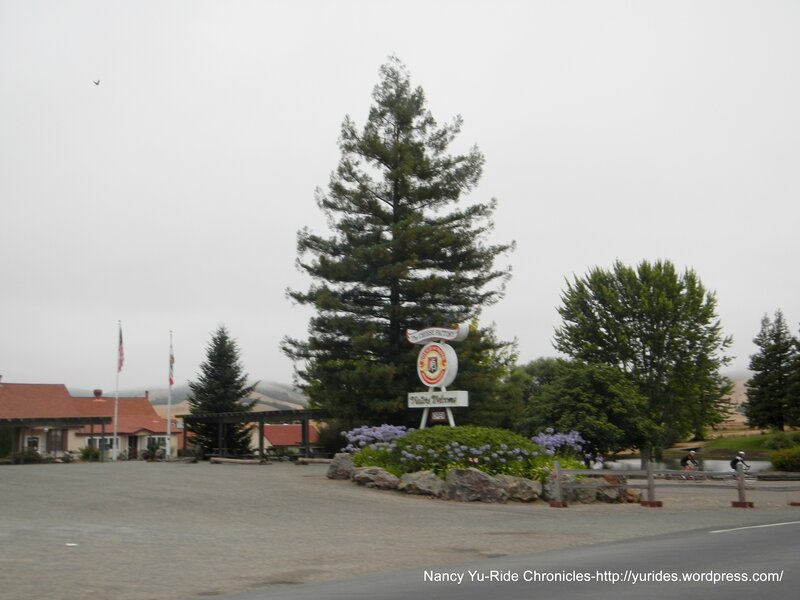 We’re here to HAVE FUN! 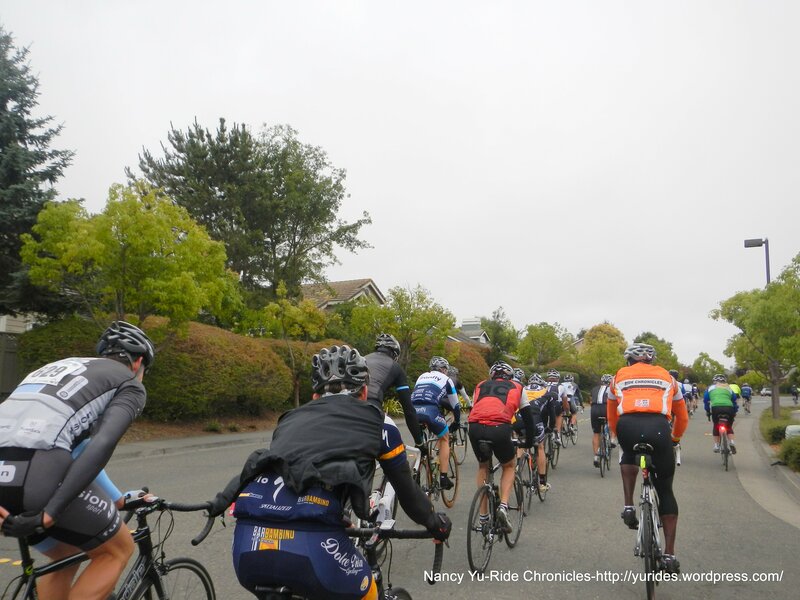 We also got some free photos from the event.